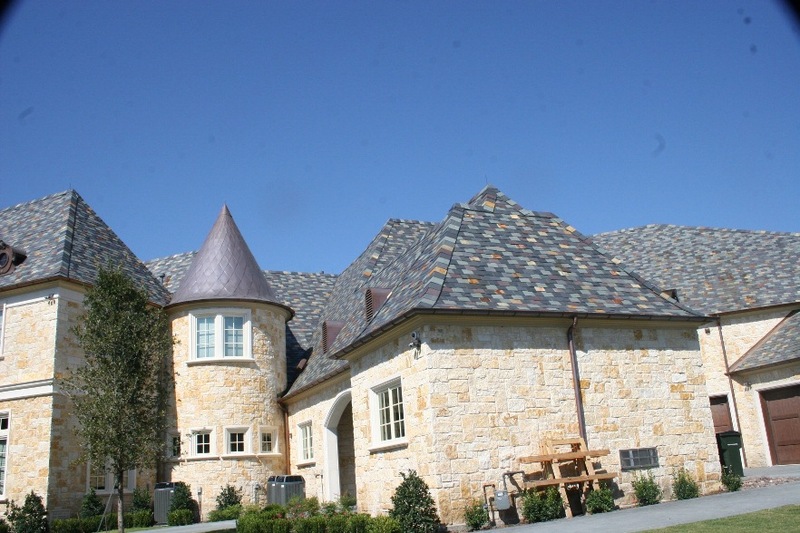 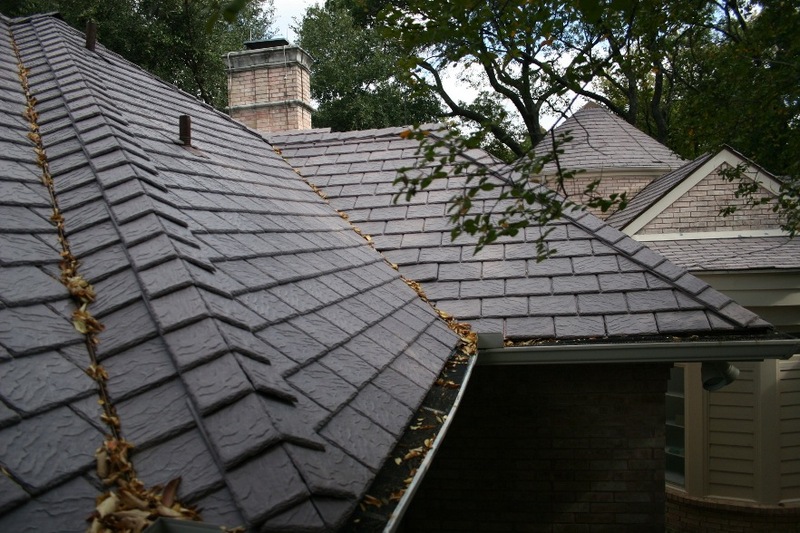 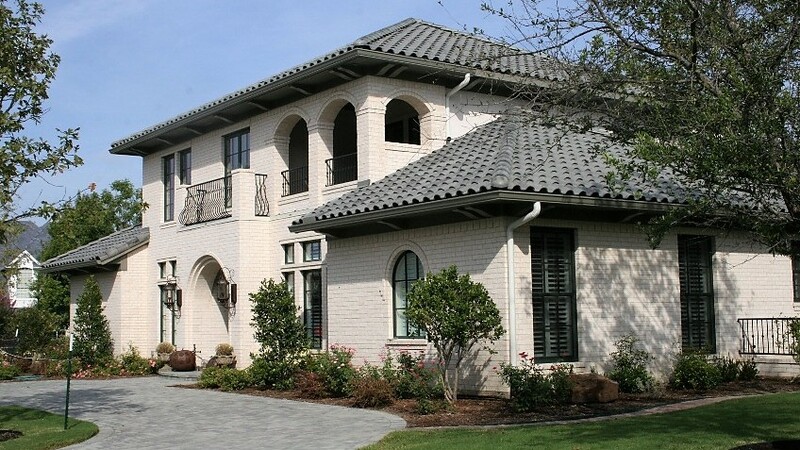 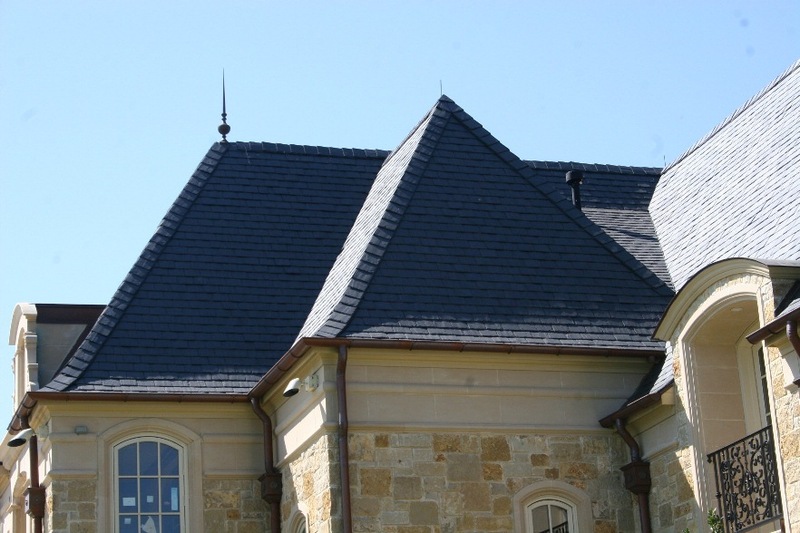 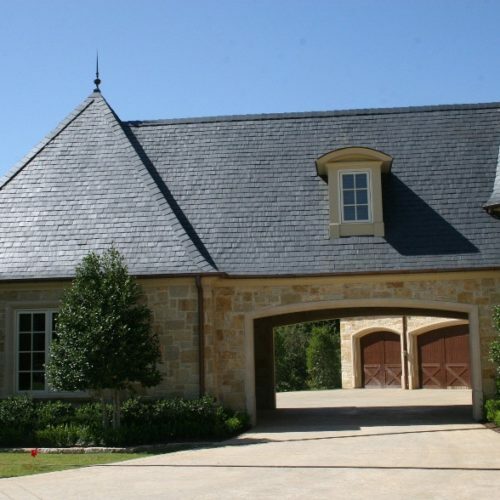 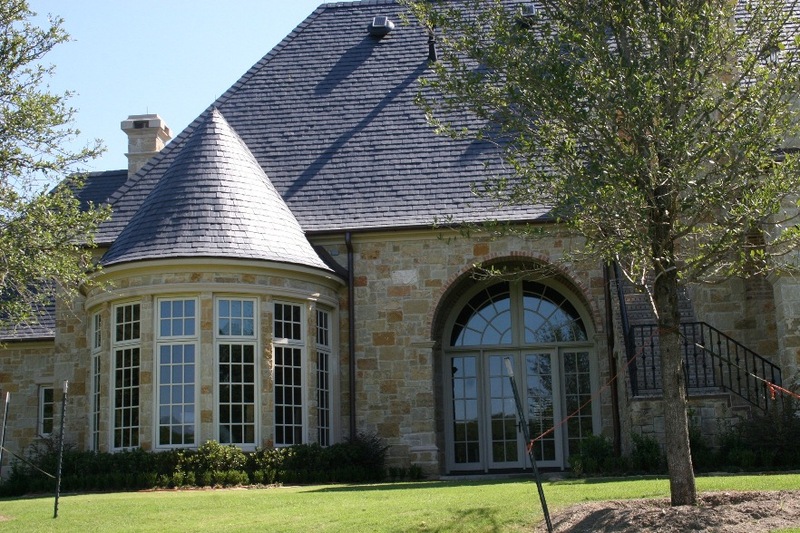 Texas Tile Roofing has spent the last 30 years as a tile and slate roofing contractor. 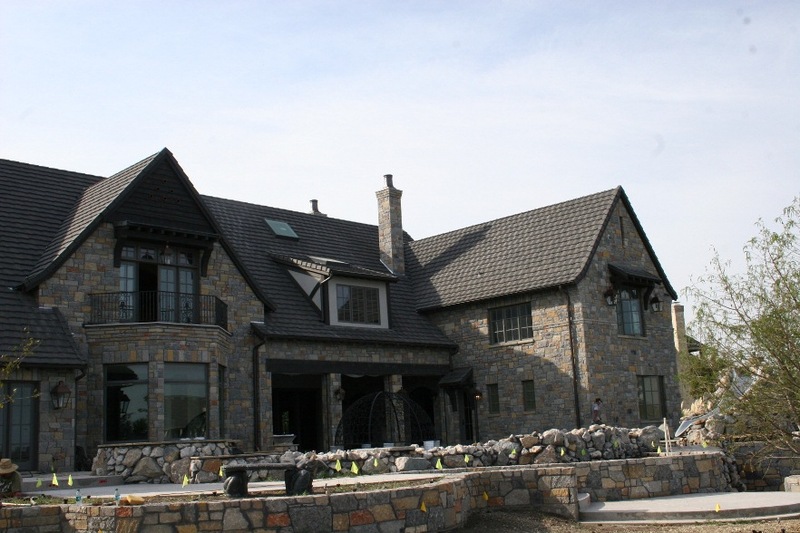 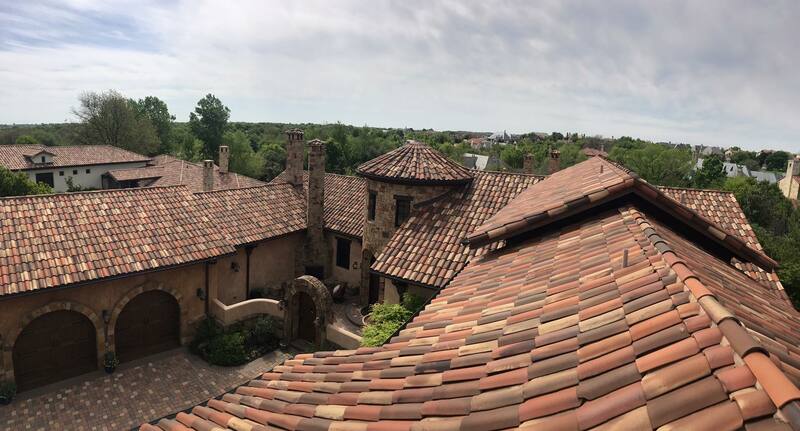 Our business is fundamentally grounded in in tile and slate roofing products and they represent more than 95% of our installations. 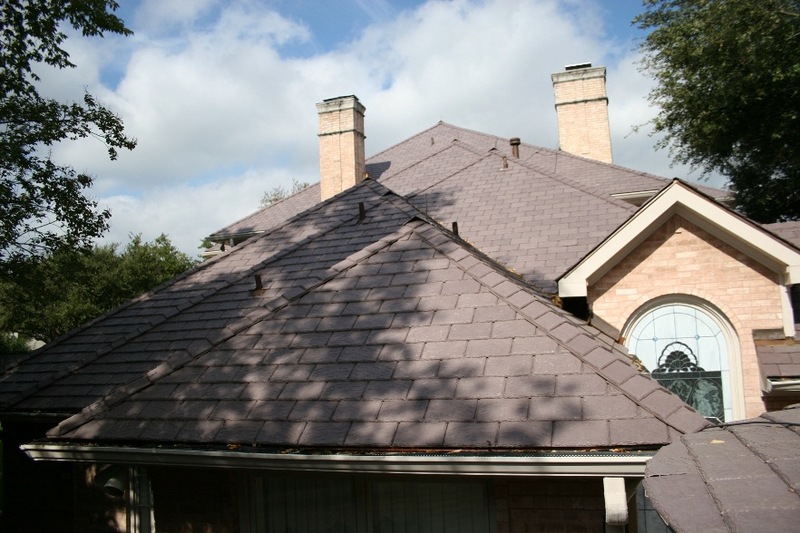 Tile and slate roofing are difficult products to install and ones that should only be done by roofers primarily involved in that arena. 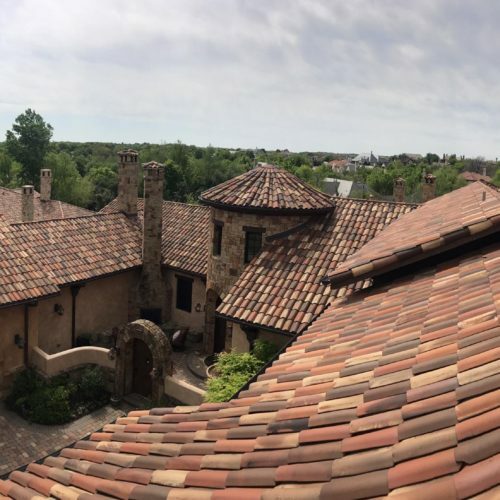 With more than 10,000 tile and slate roofs installed over the last 30 years, it's safe to say that tile roofing is our business. 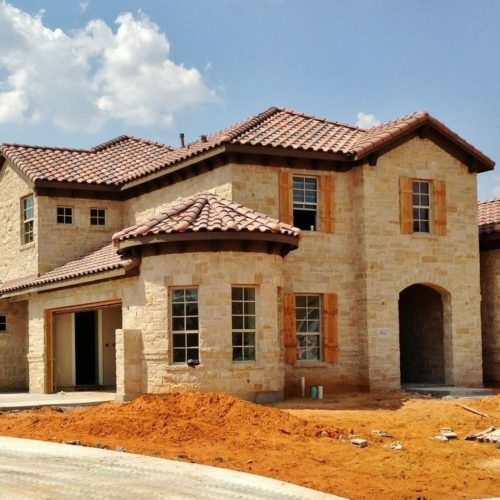 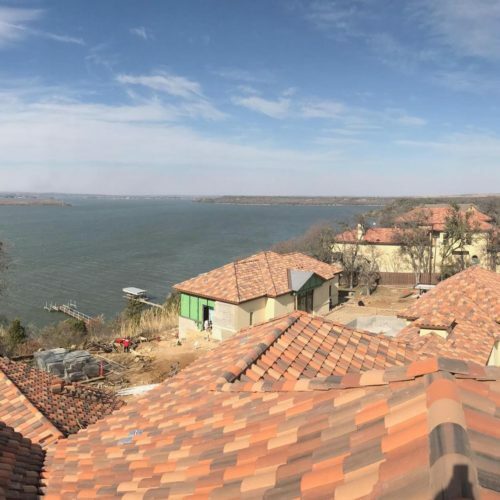 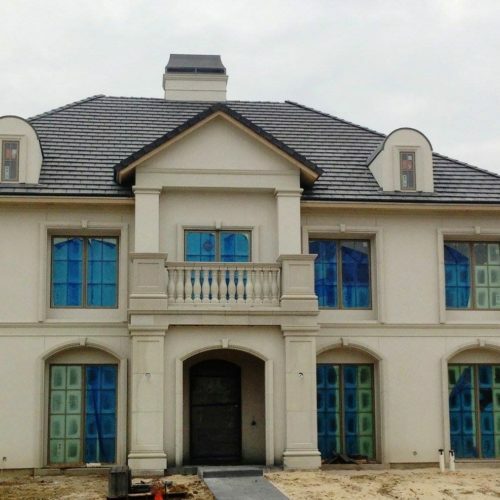 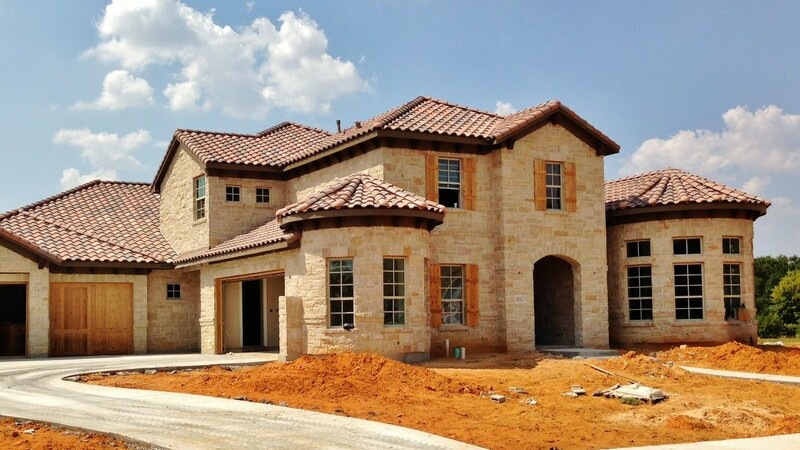 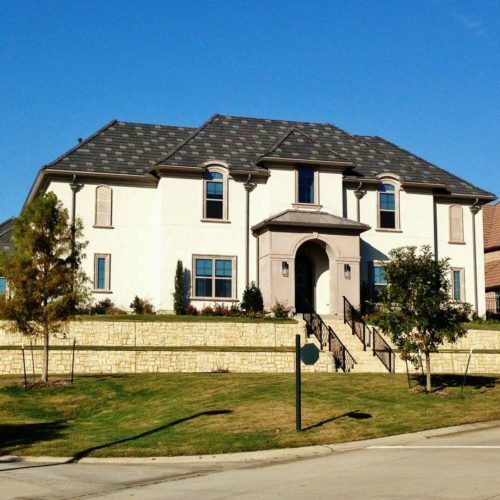 So when you are looking for a tile or slate roofing contractor in the metroplex, you can feel confident looking no further than Texas Tile Roofing. 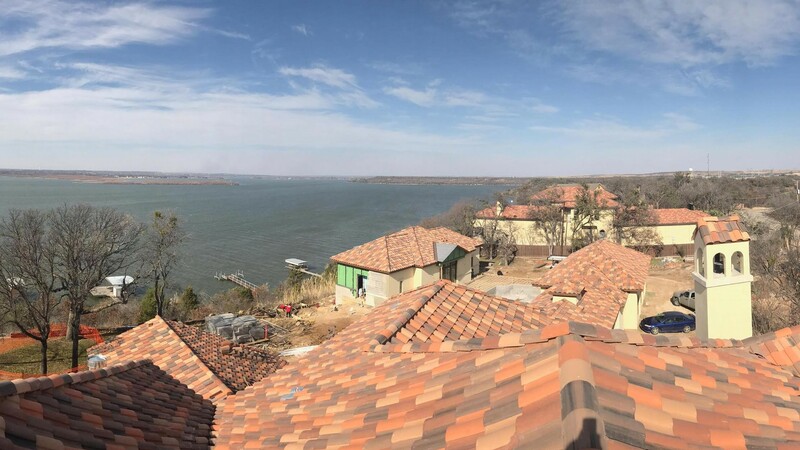 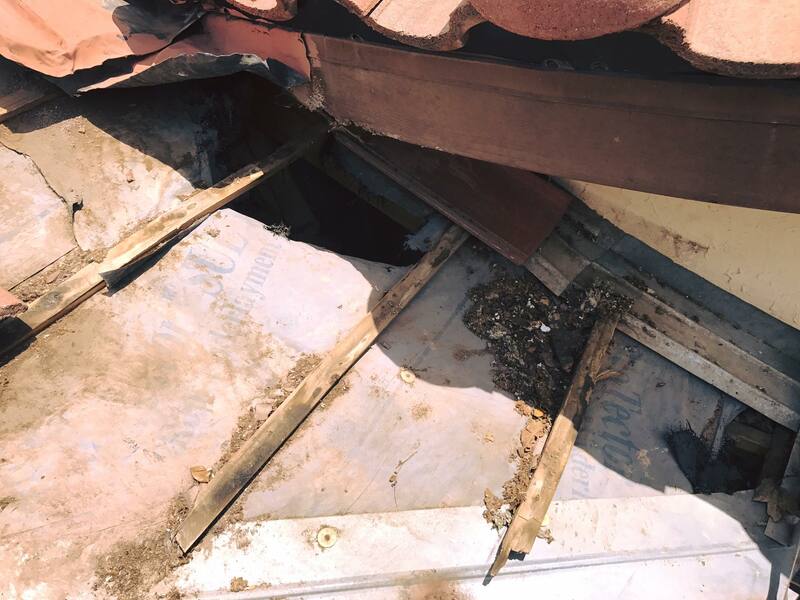 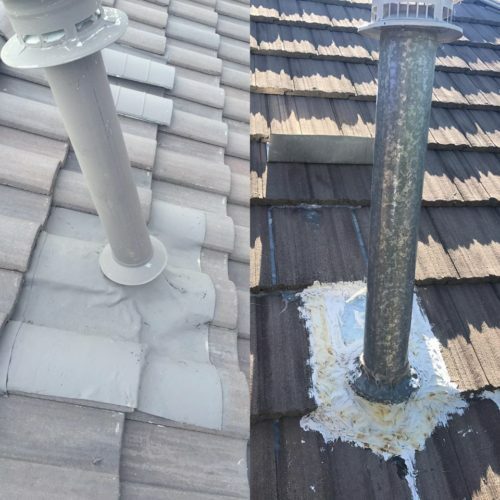 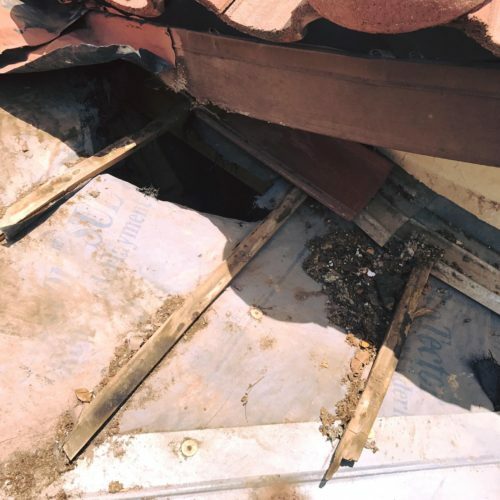 Whether it's new construction, reroofing or the challenge of leak repairs, Texas Tile Roofing stands ready to assist you with all your roofing needs. 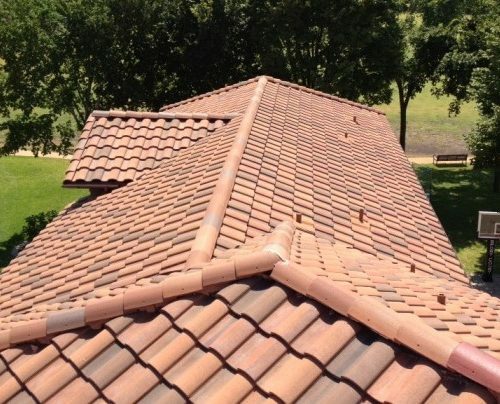 Call Texas Tile Roofing for a FREE estimate! 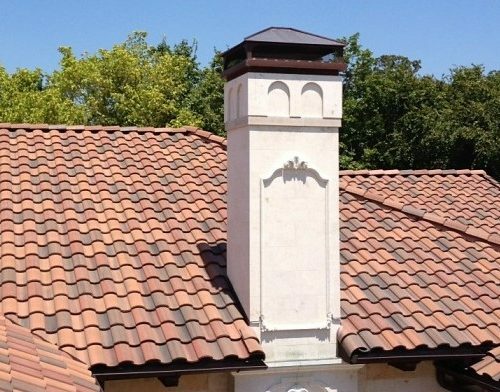 Texas Tile Roofing has been installing beautiful roofs of lasting quality on residential and commercial buildings for over 30 years. 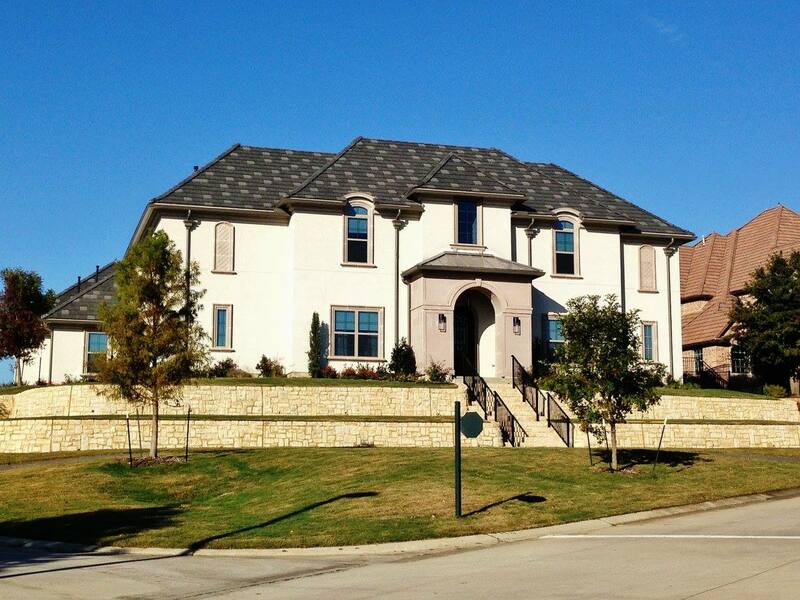 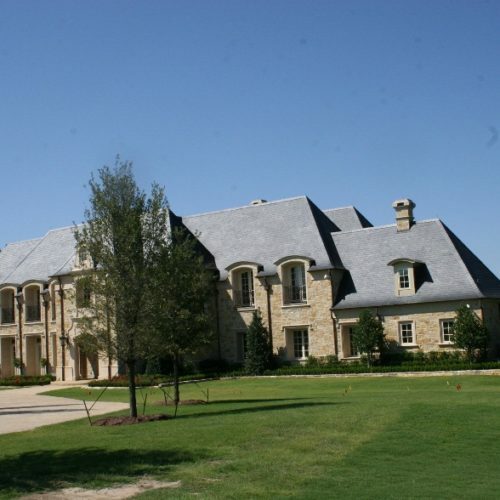 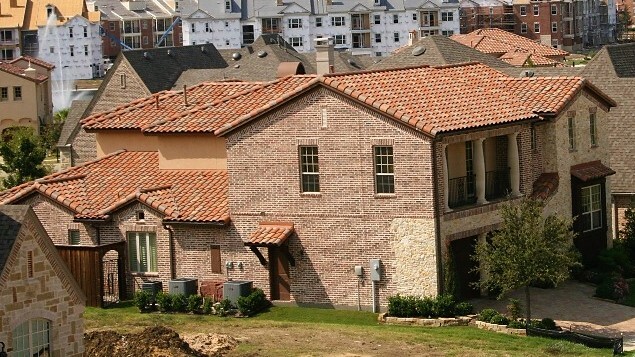 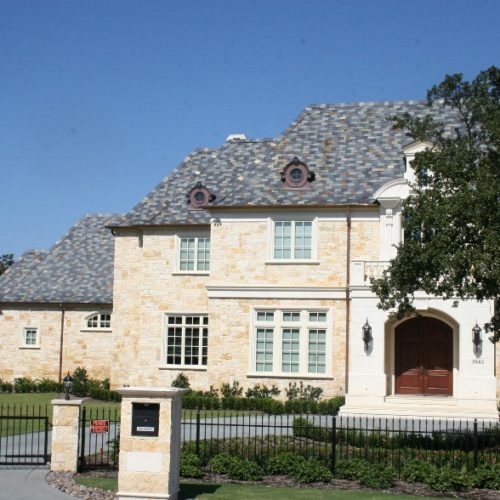 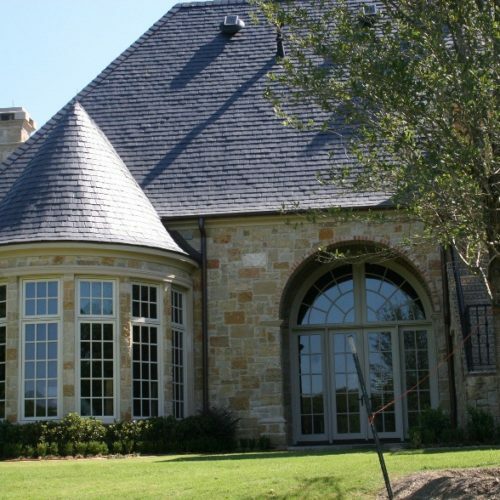 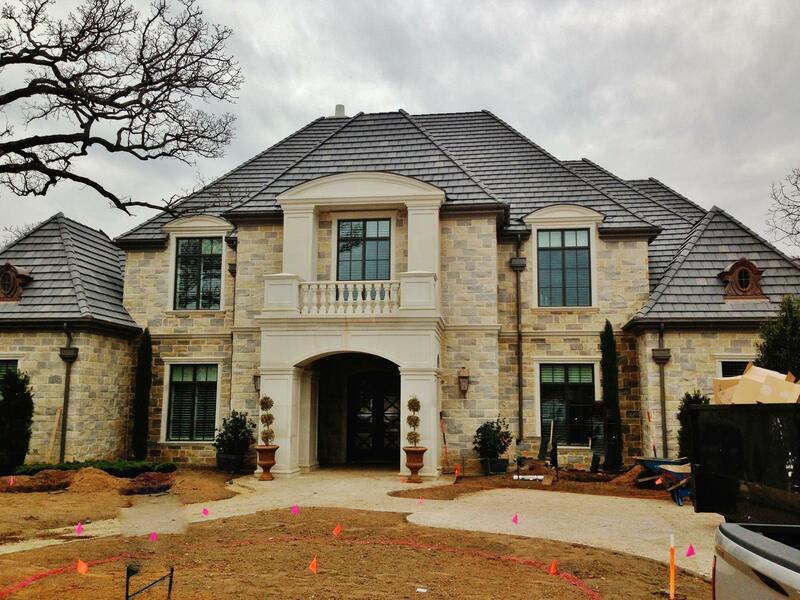 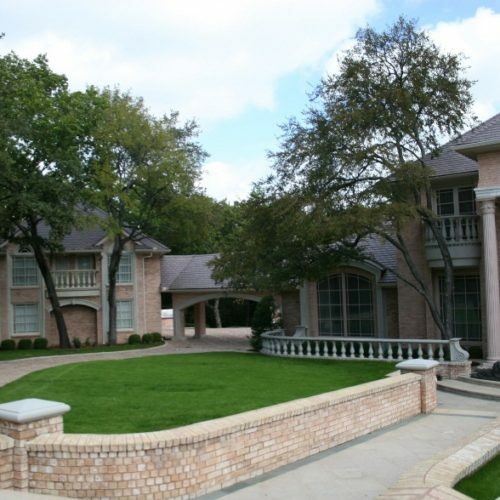 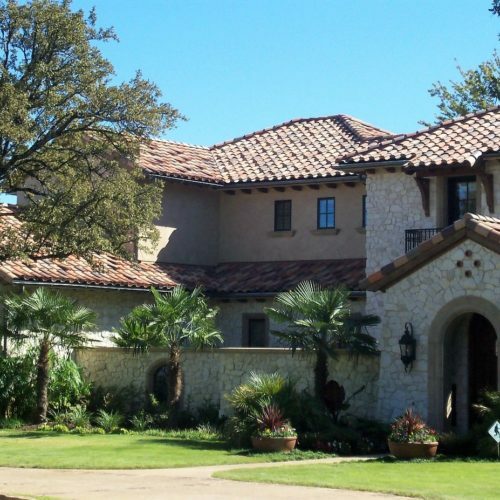 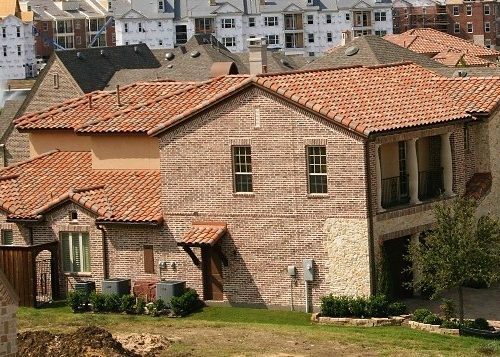 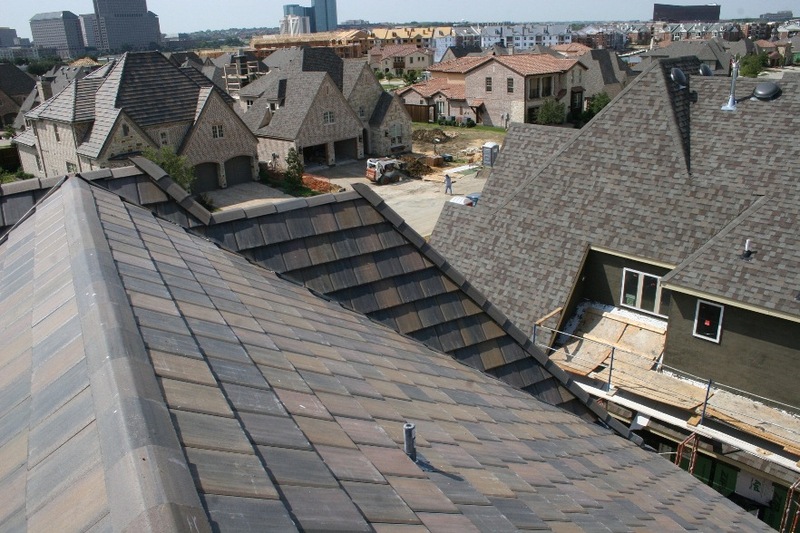 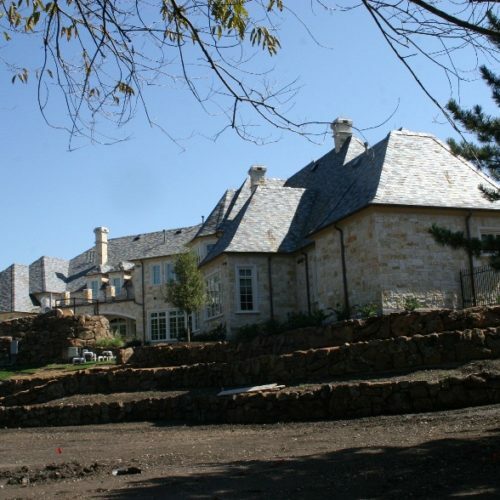 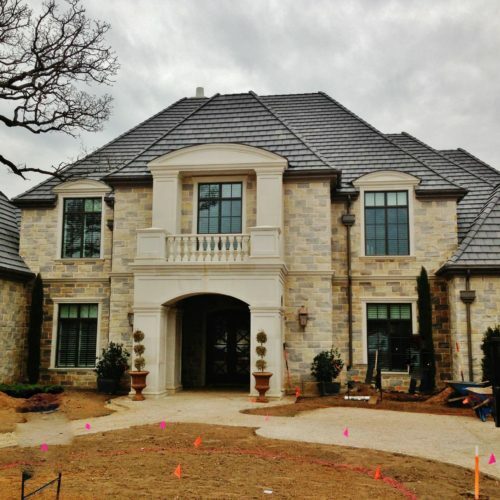 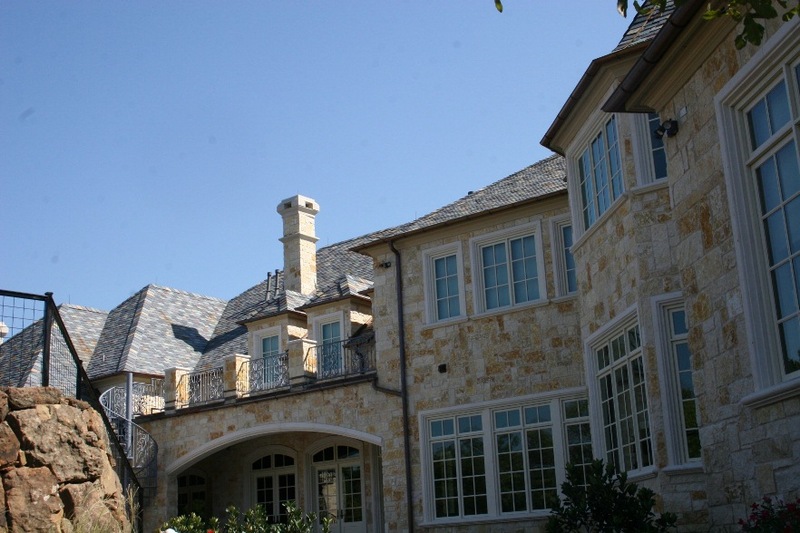 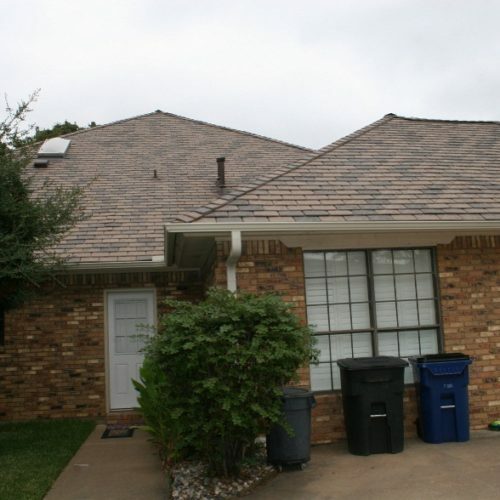 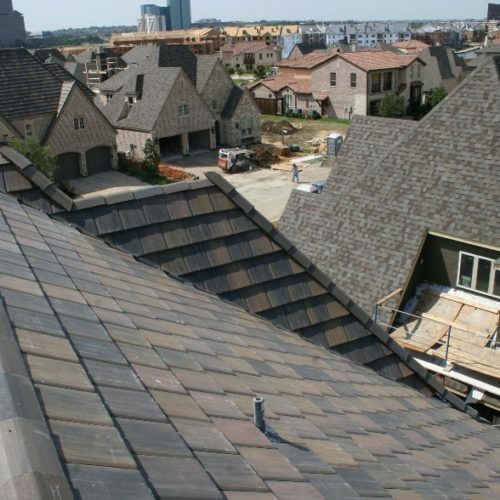 Texas Tile Roofing is one of the largest and most respected roofing companies in the Dallas and Fort Worth Metroplex. 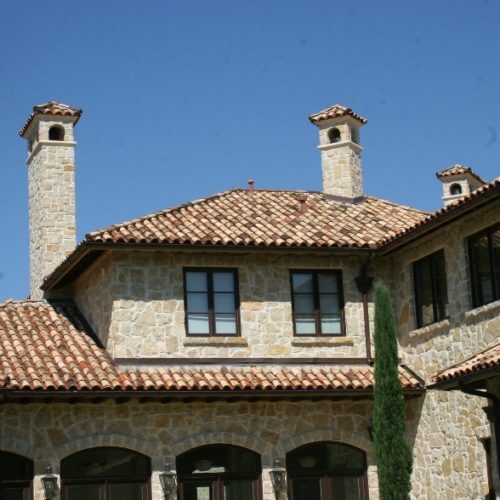 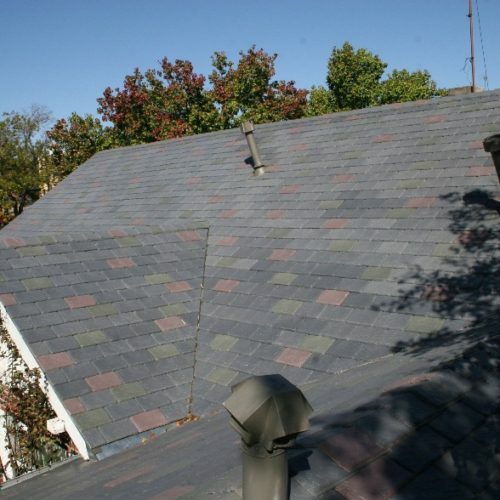 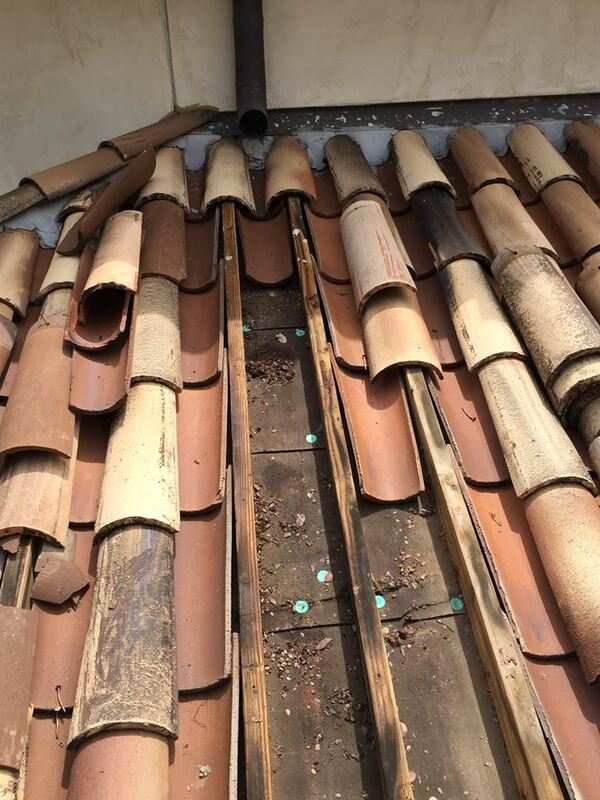 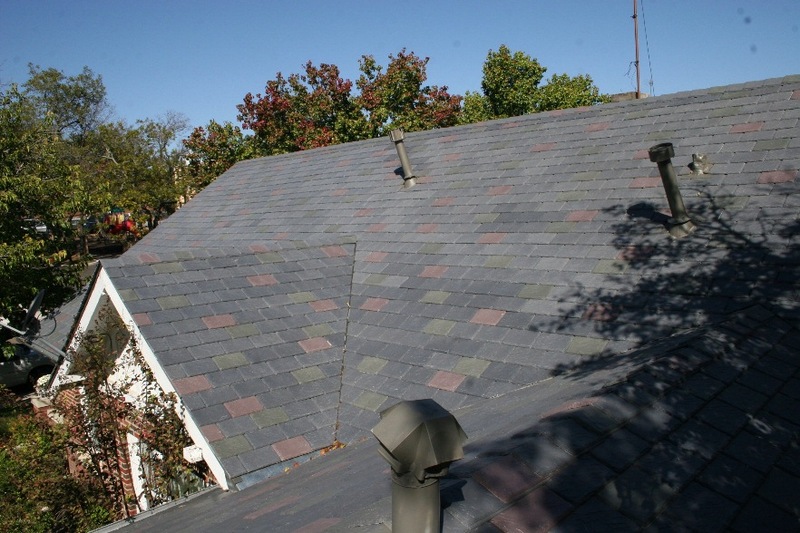 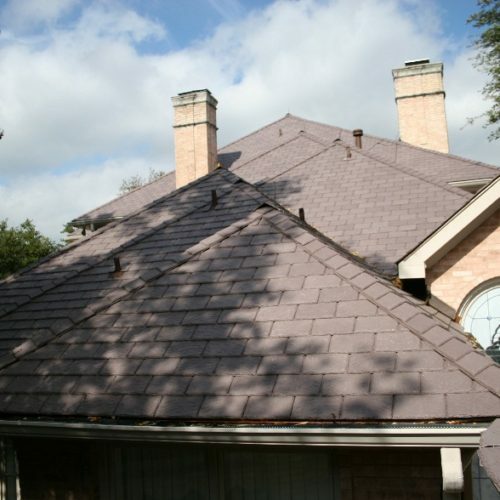 Texas Tile Roofing specializes in all roofing applications and materials. 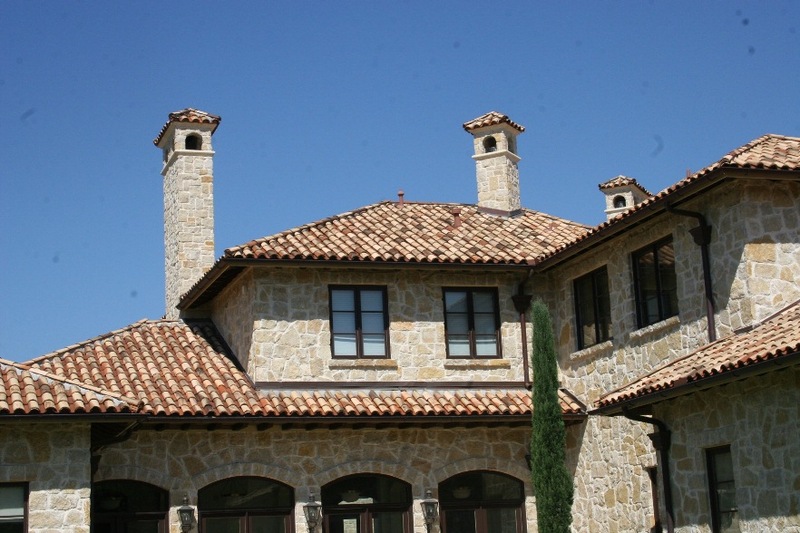 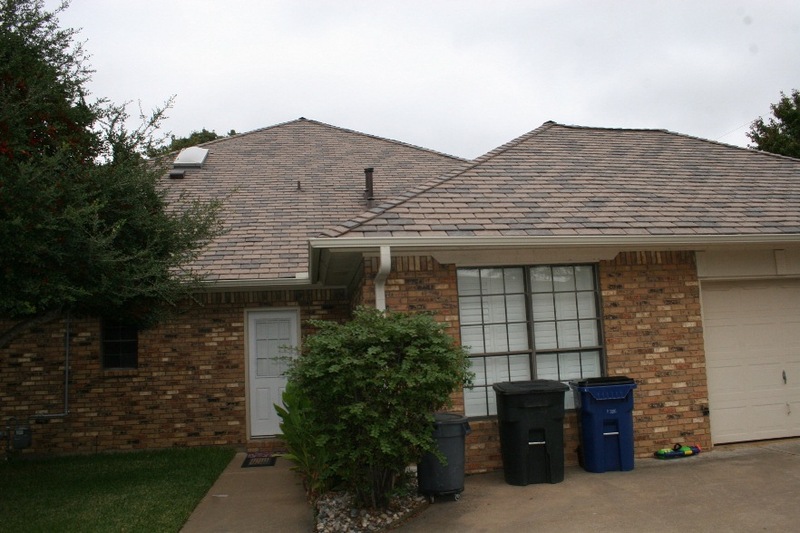 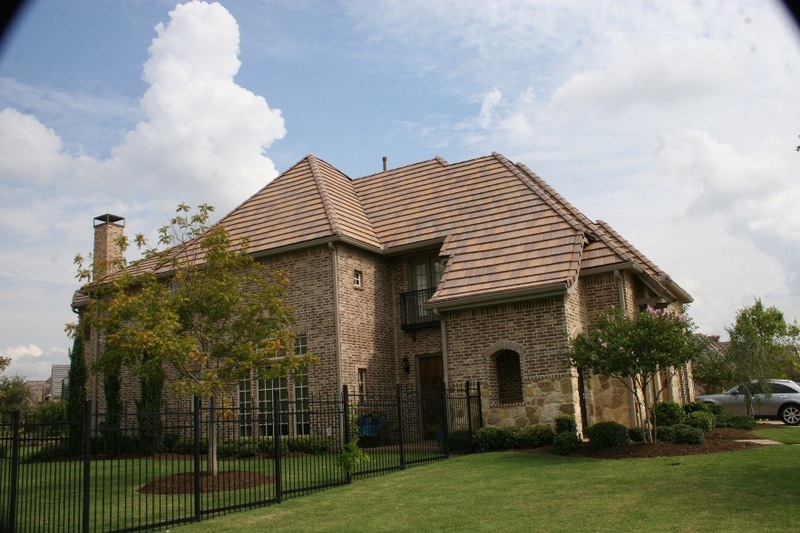 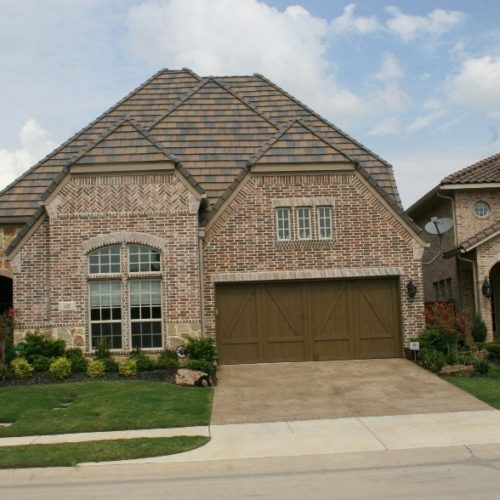 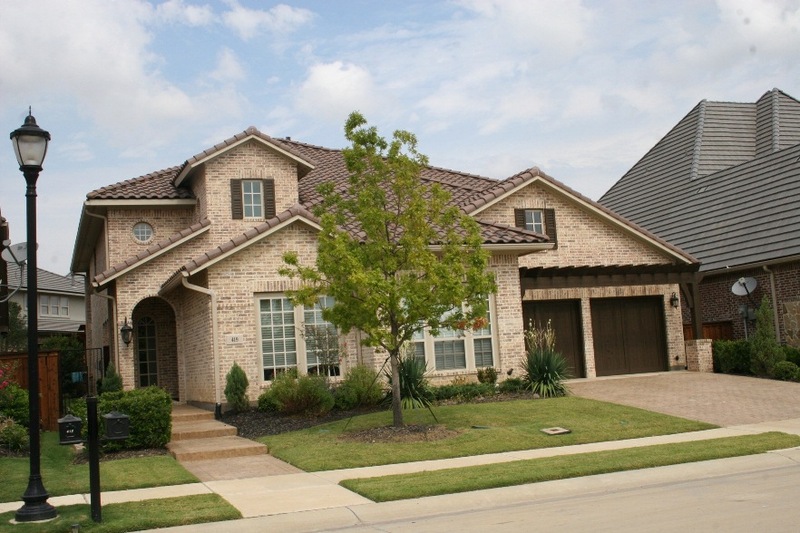 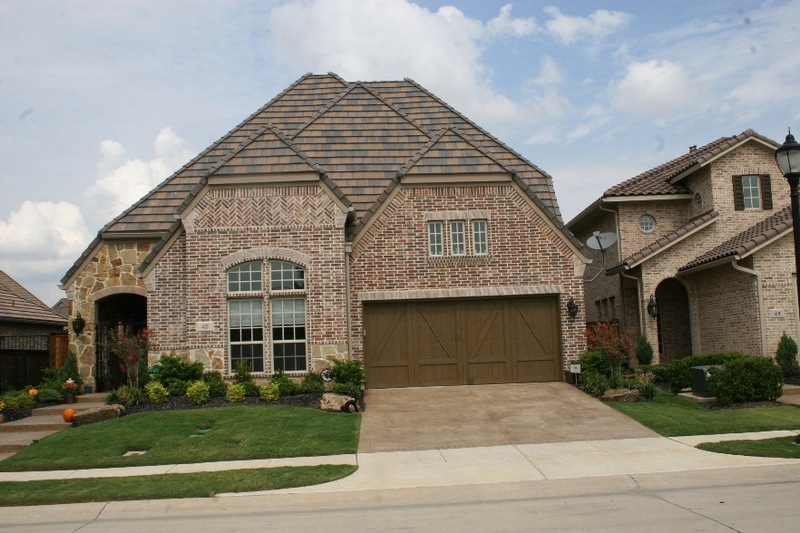 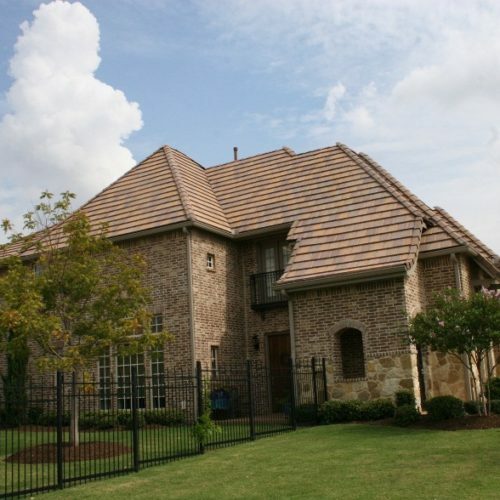 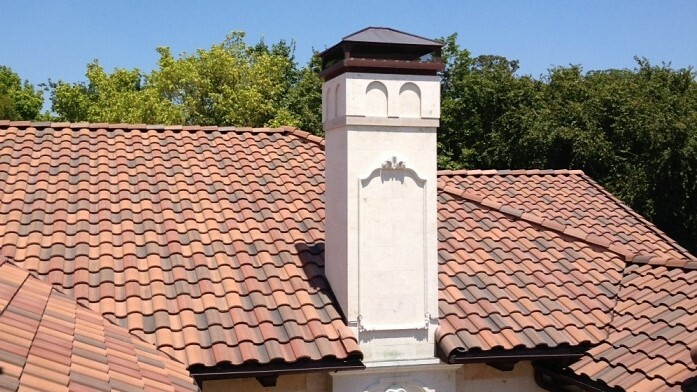 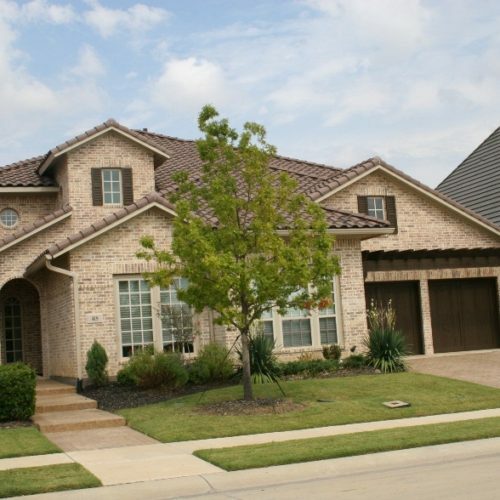 Texas Tile Roofing is known as Dallas and Fort Worth’s premier tile roof specialist! 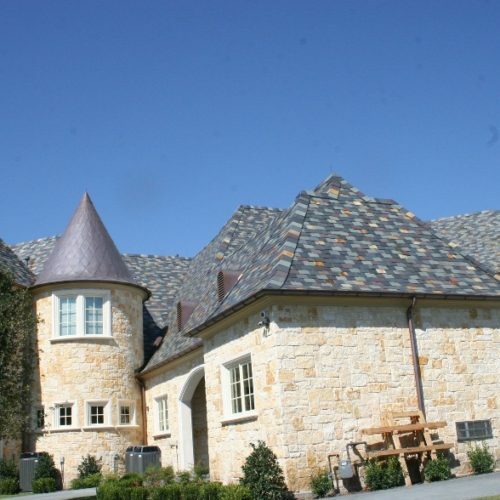 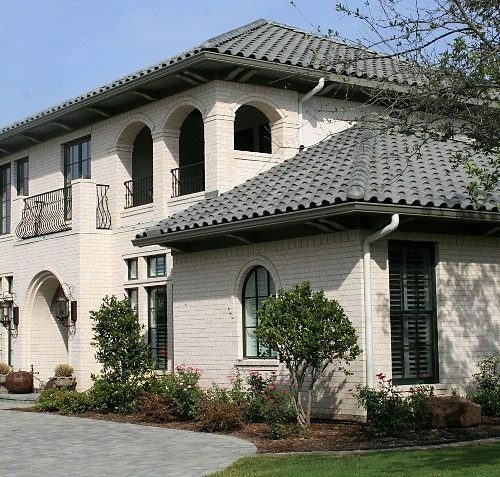 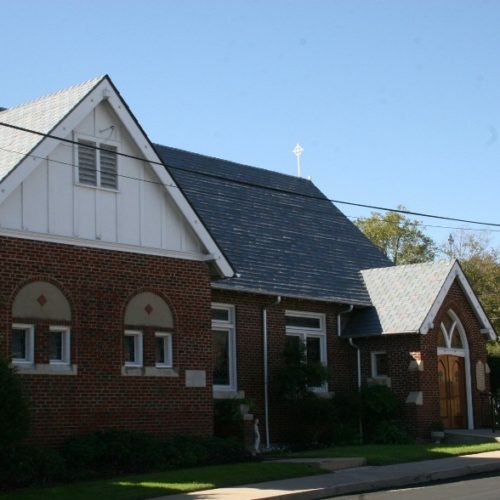 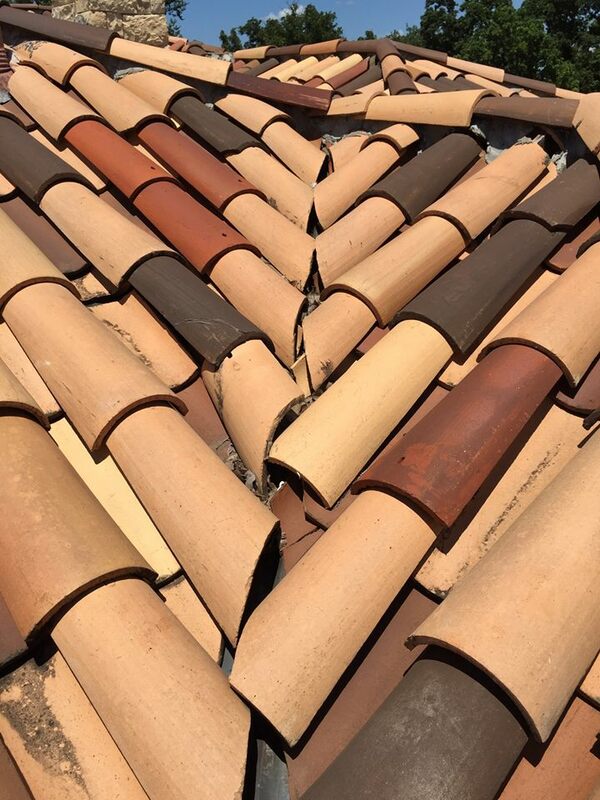 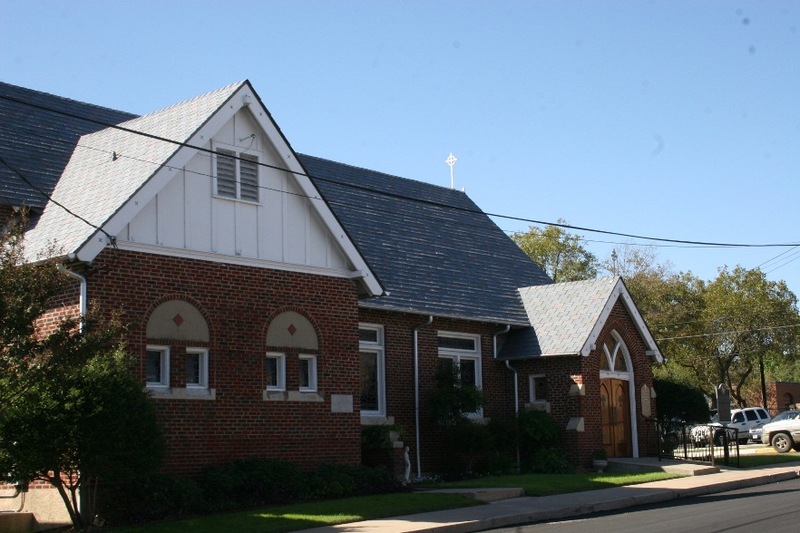 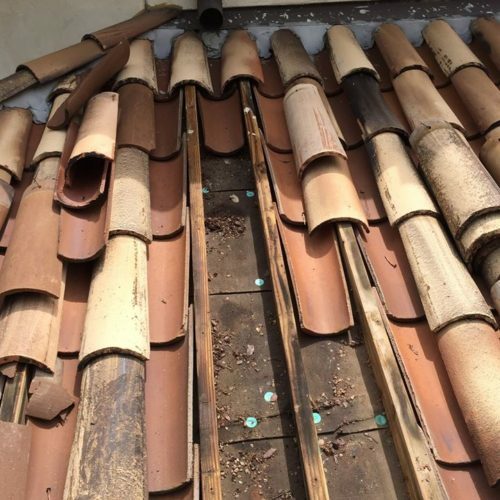 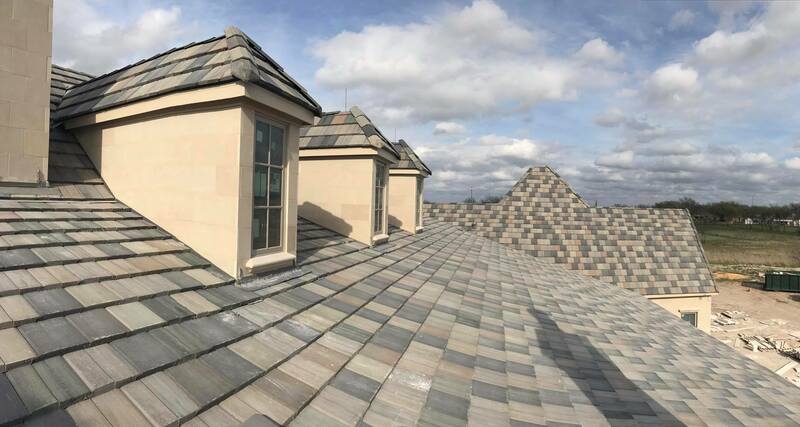 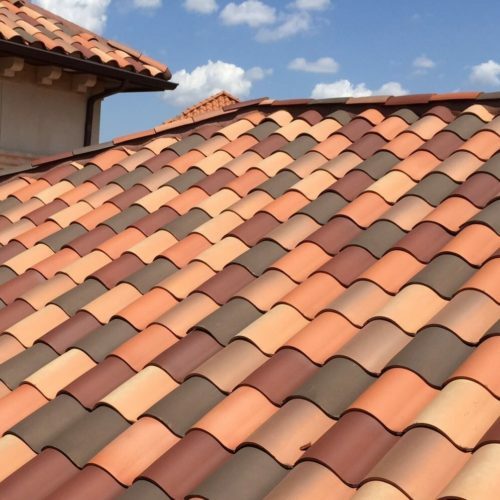 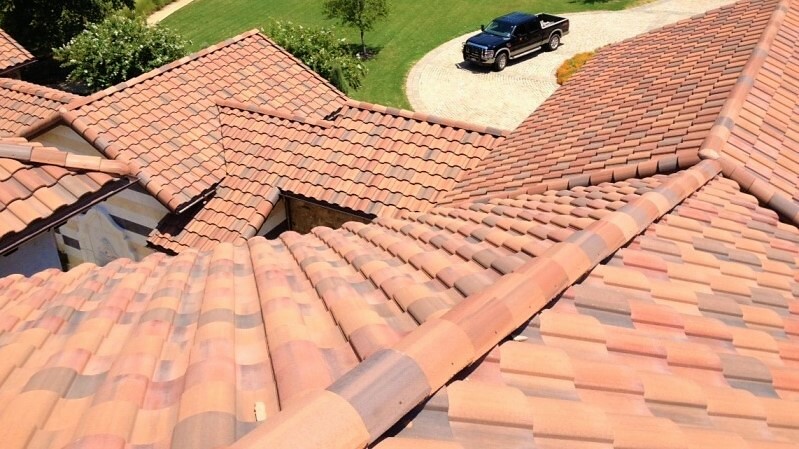 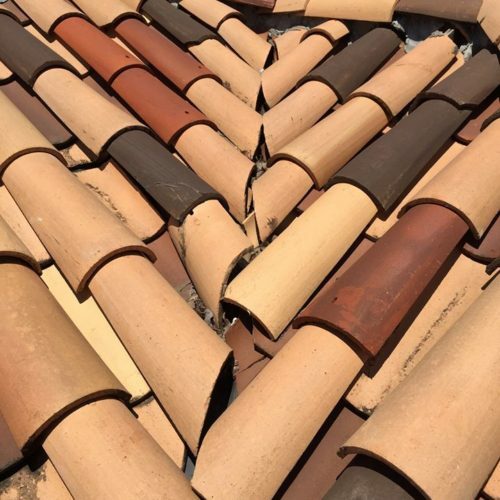 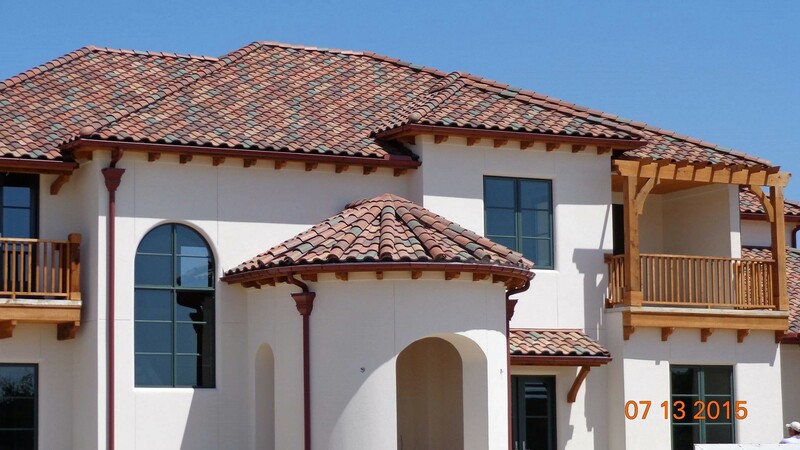 With over 30 years experience in the roof tile industry, Texas Tile Roofing has a tradition of excellence, providing quality you can count on to endure throughout the years. 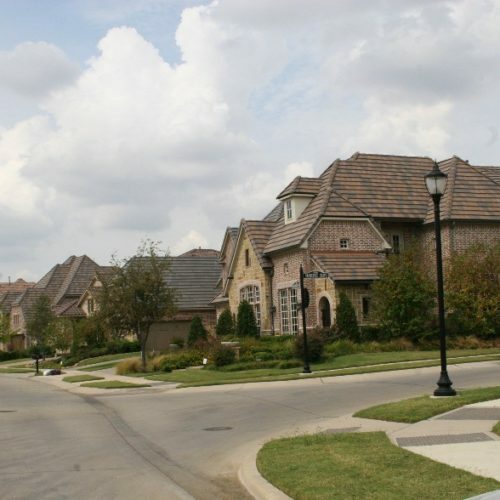 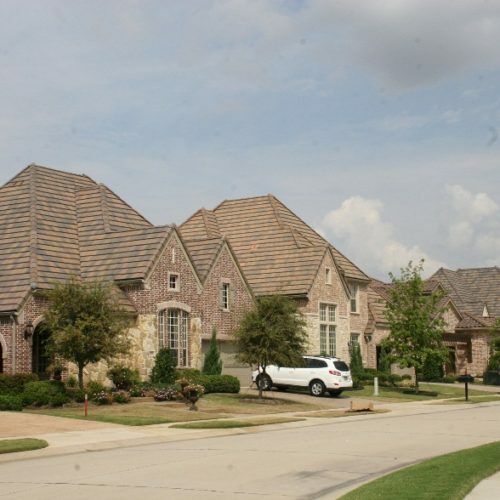 Over 3,000 homes covered by Texas Tile Roofing! 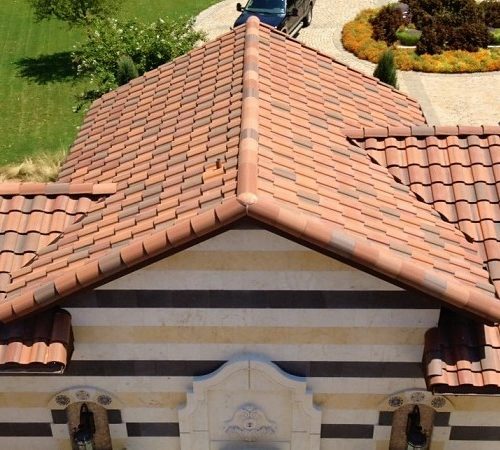 We offer our customers expert knowledge and craftsmanship in the installation of numerous types of roof coverings and roofing products. 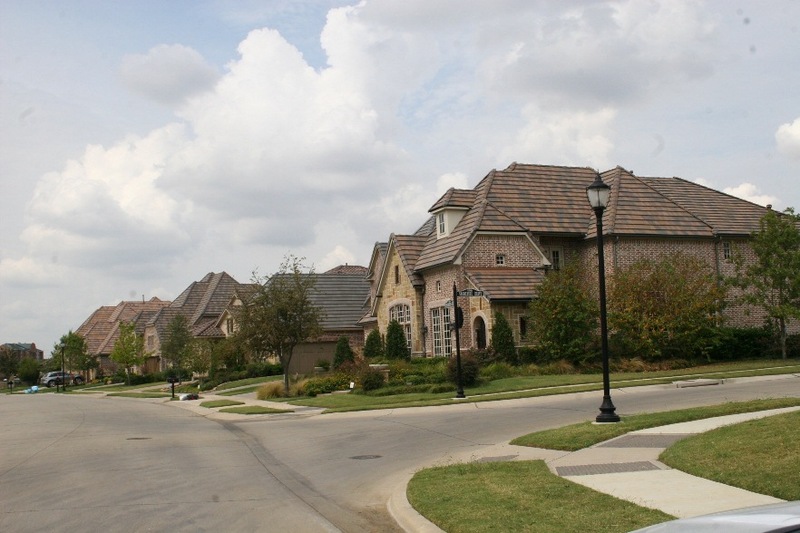 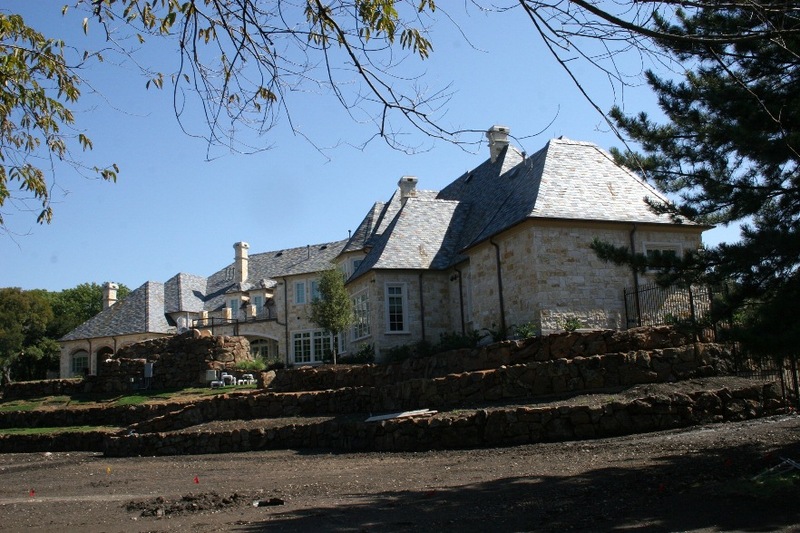 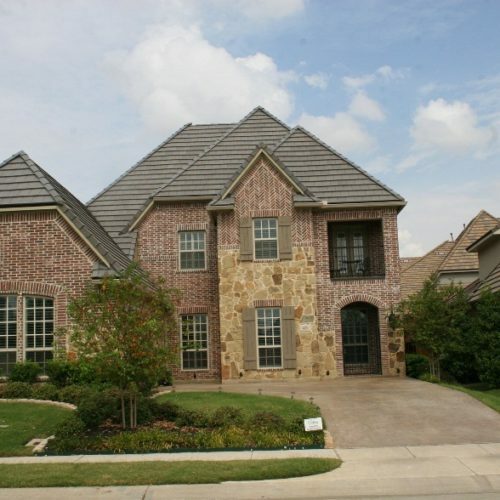 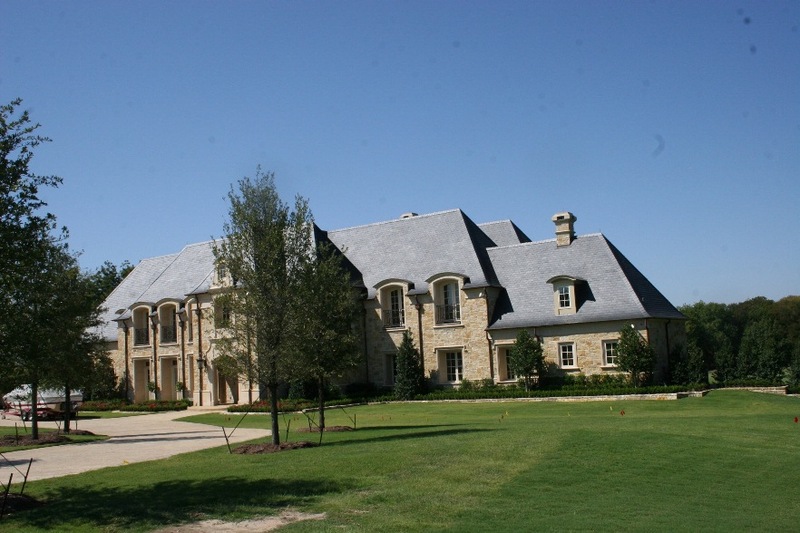 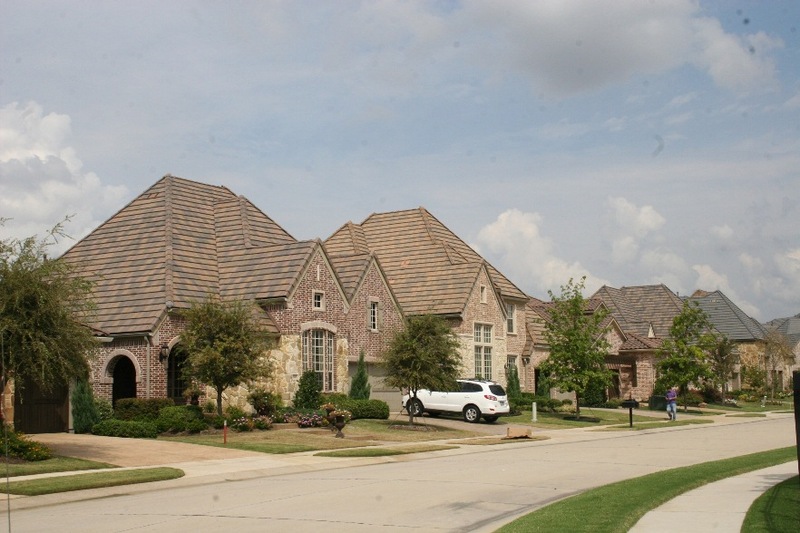 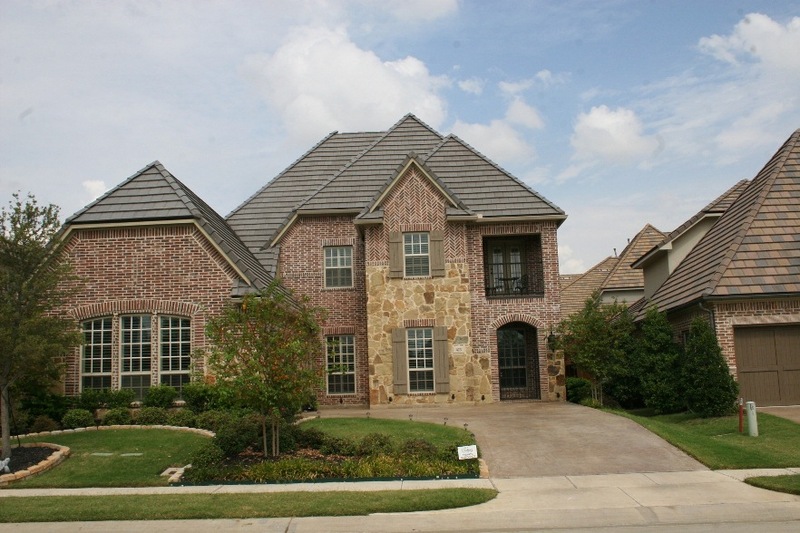 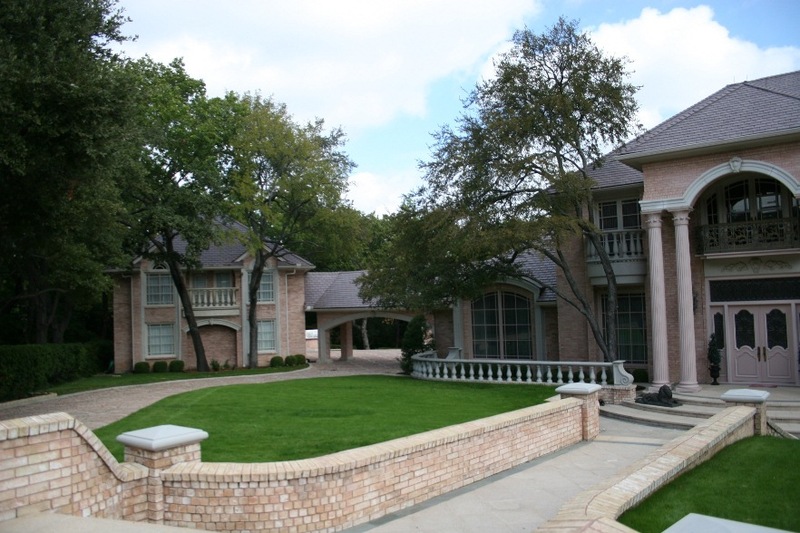 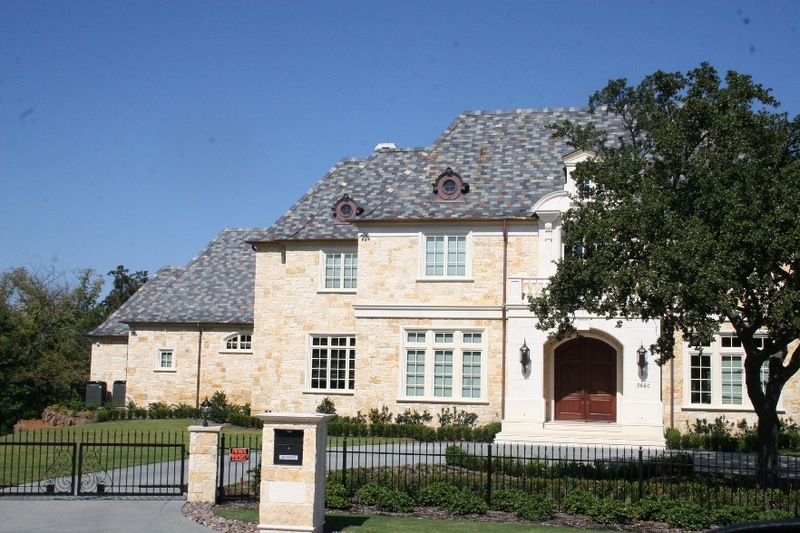 Texas Tile Roofing has built up a sold reputation with DFW area home-builders. 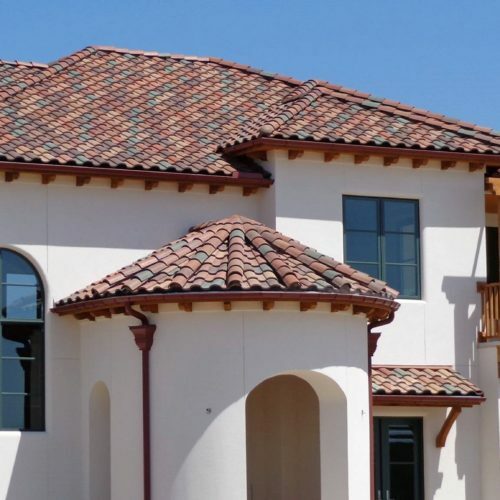 We understand the pace of new construction and can comfortably meet the demands made by contractors. 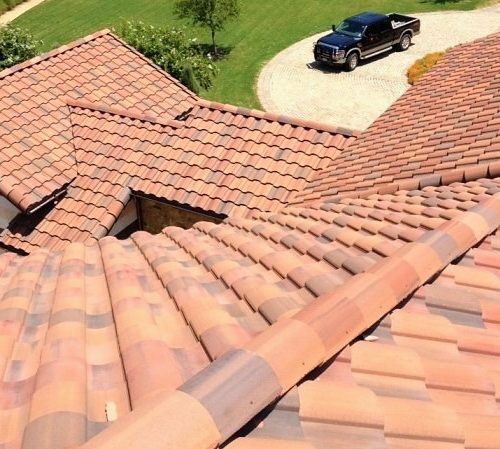 We have developed strong relationships with our suppliers and this, coupled with our workforce, ensures that Texas Tile Roofing is there when you are ready. 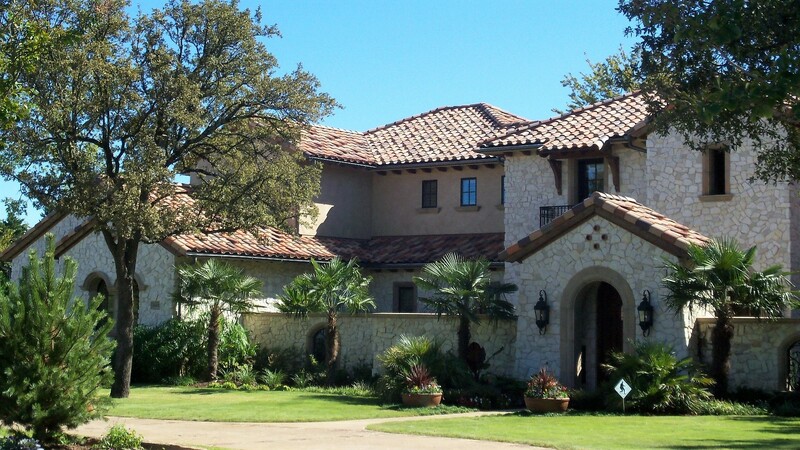 Doing it quickly rarely means doing it correctly. 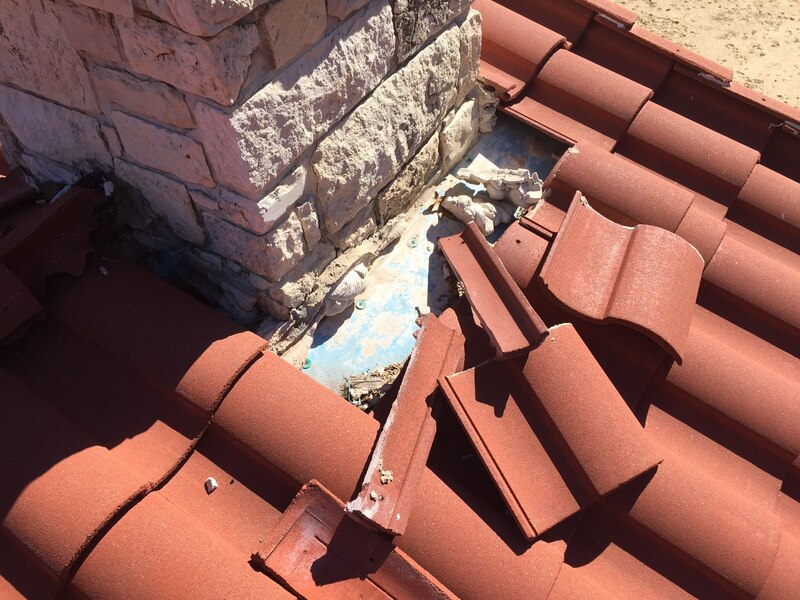 Trying to bring the storm chasing, comp roofing mentality to a tile job results in subpar work. 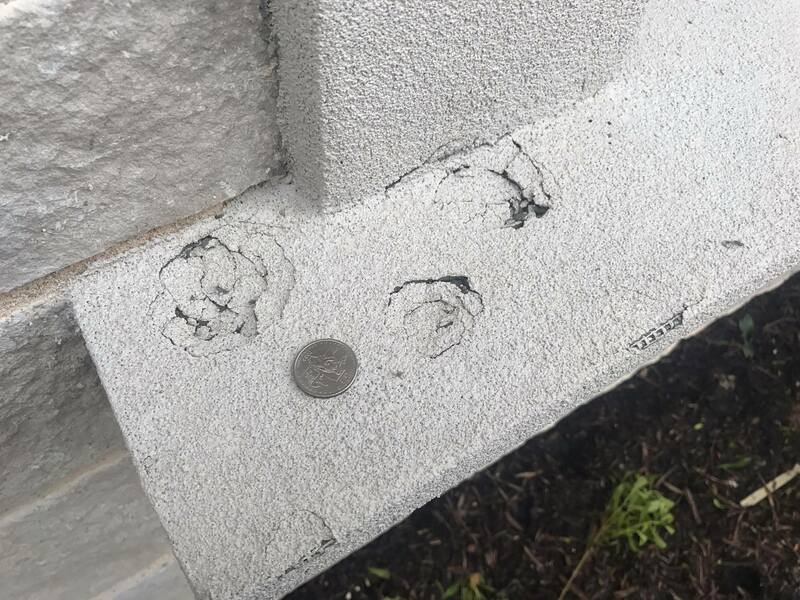 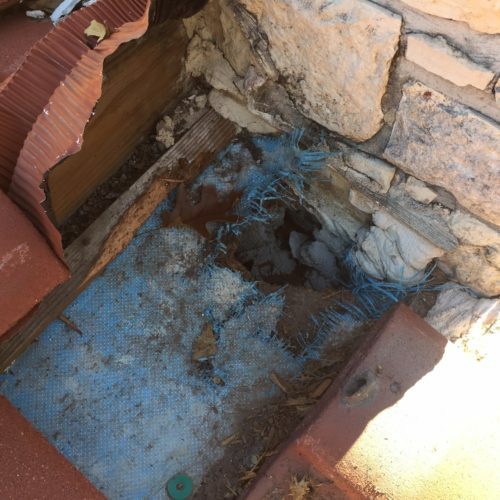 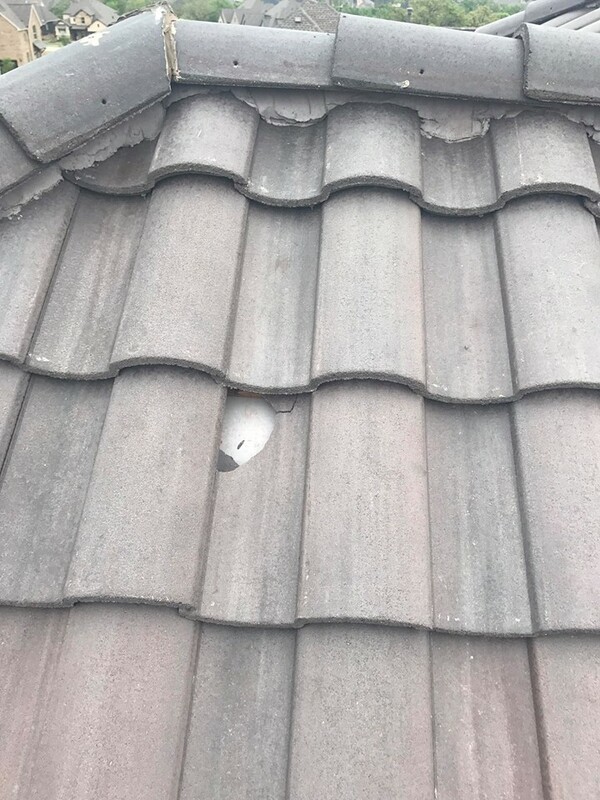 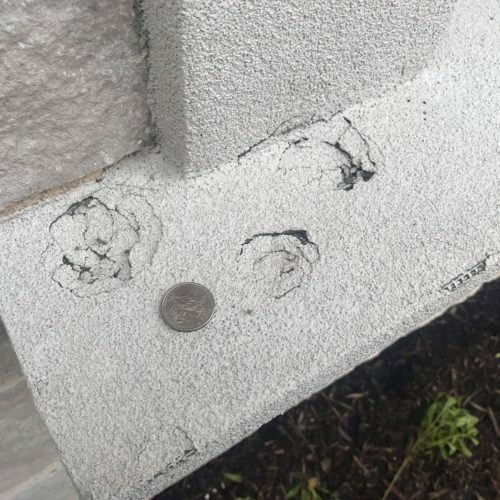 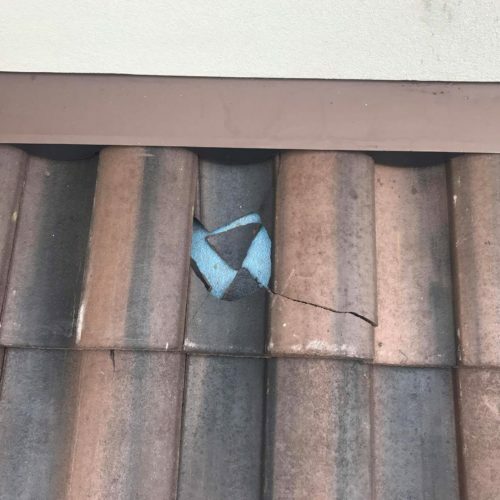 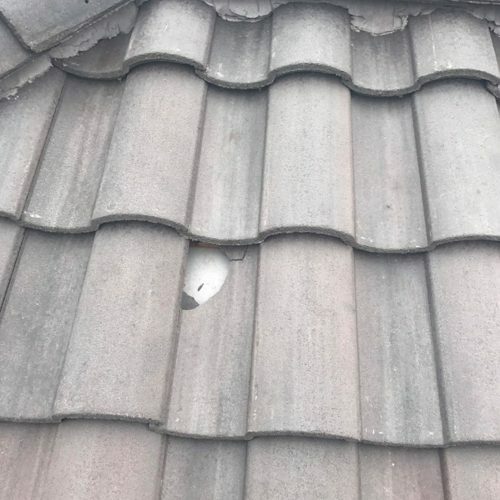 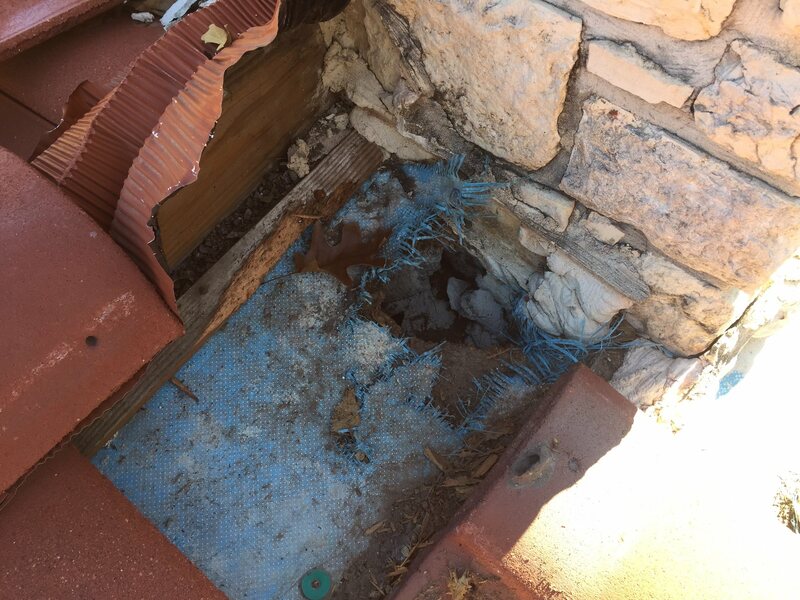 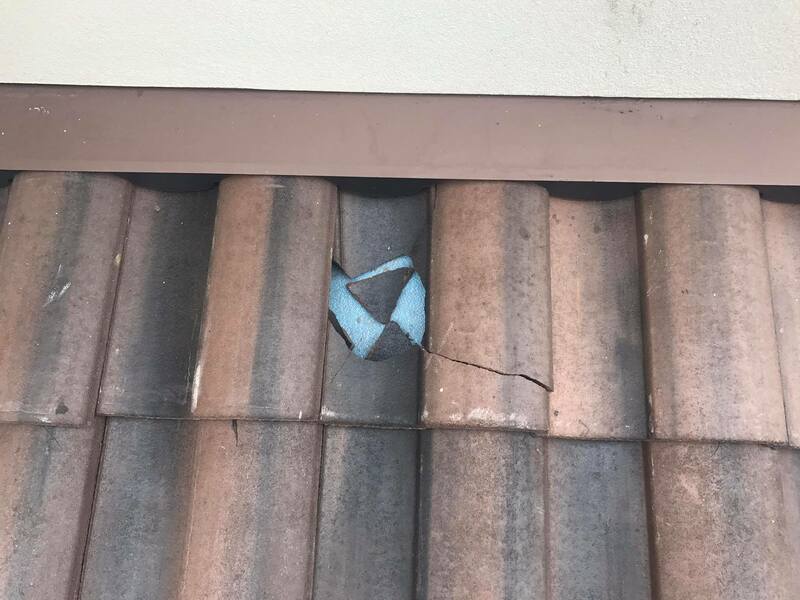 Hail damage goes deeper than just ruining the beauty of your roof. 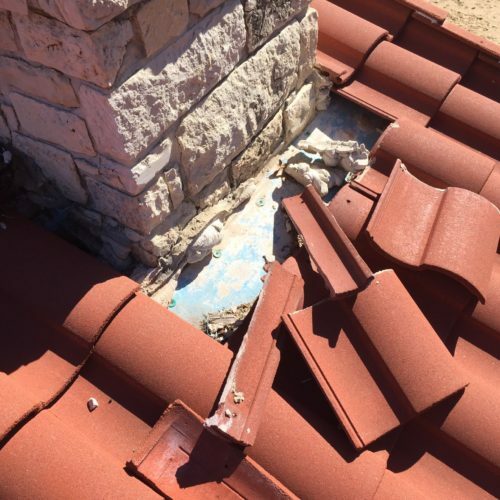 The following water damage can devastate your home before you ever realize it is happening. 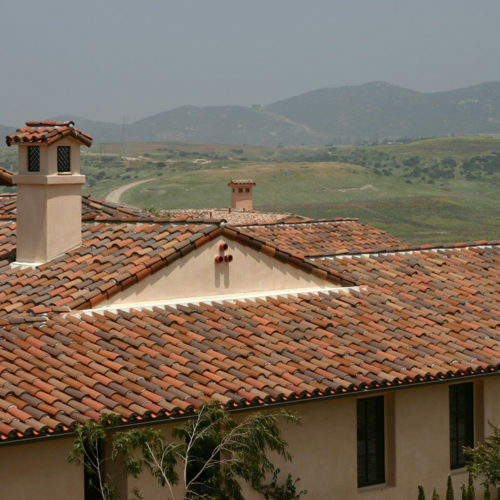 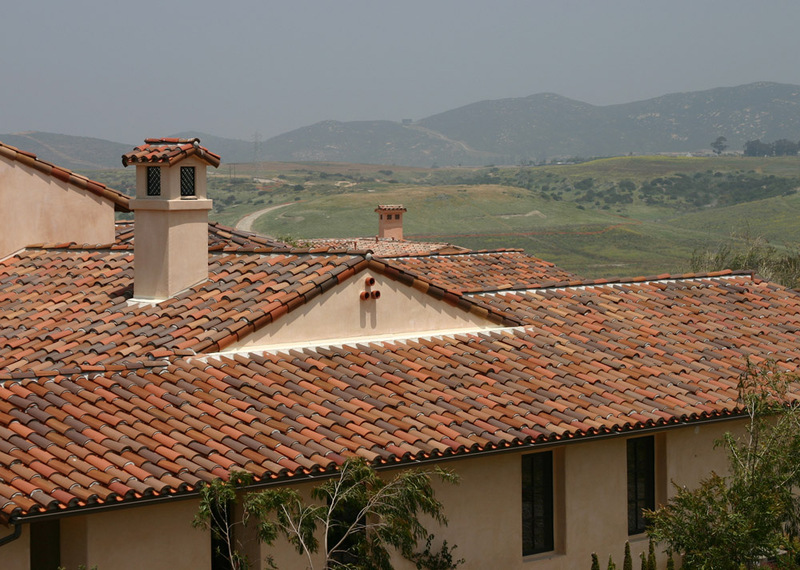 Clay tile roofs are popular in the U.S. southwest and somewhat in Canada, expecially in houses with a Spanish motif. 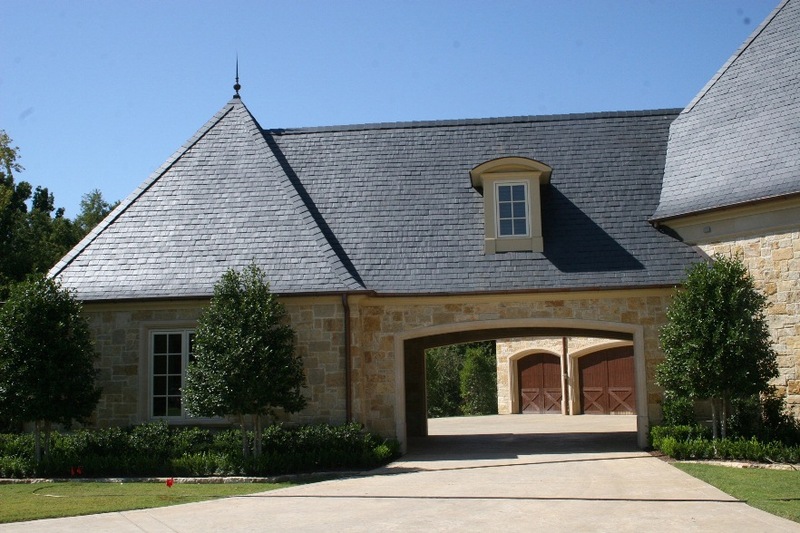 This type of roof provides a unique and stately appearance which is well suited for larger homes. 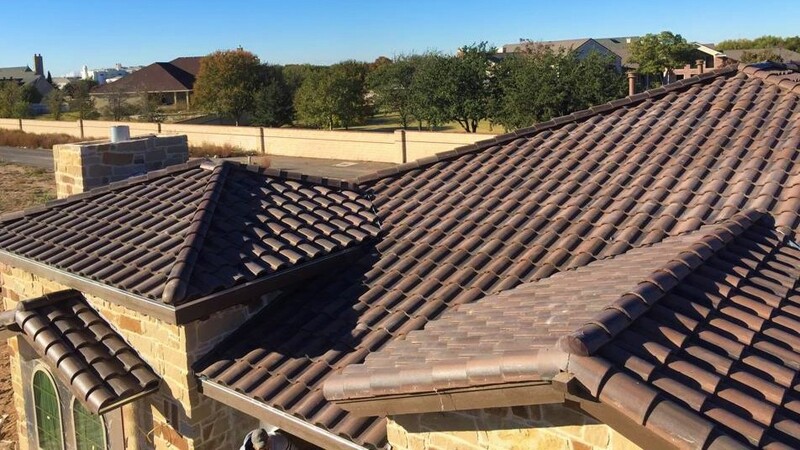 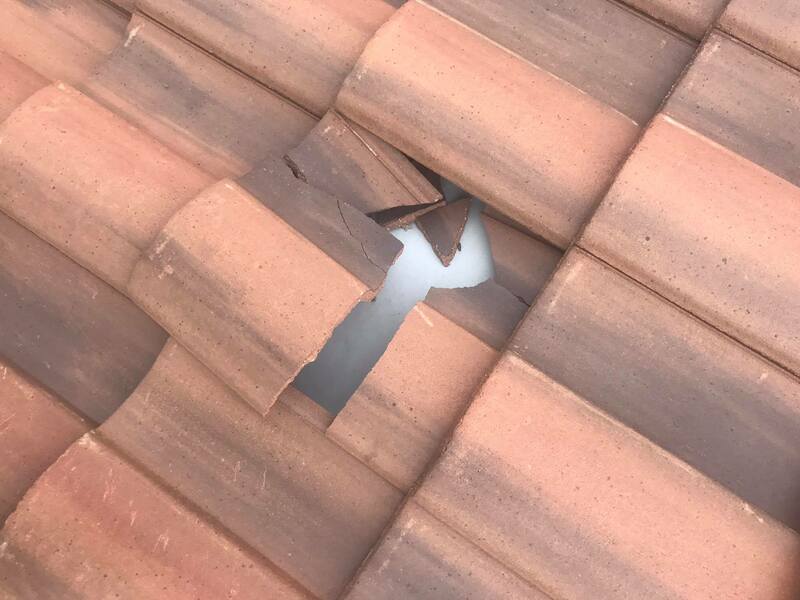 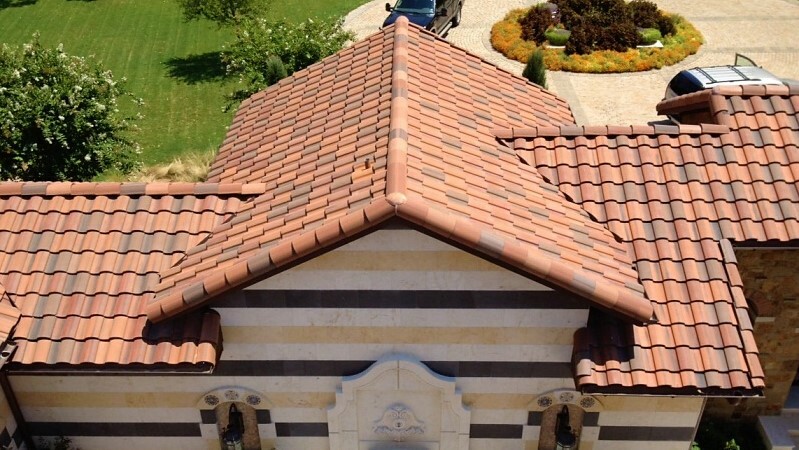 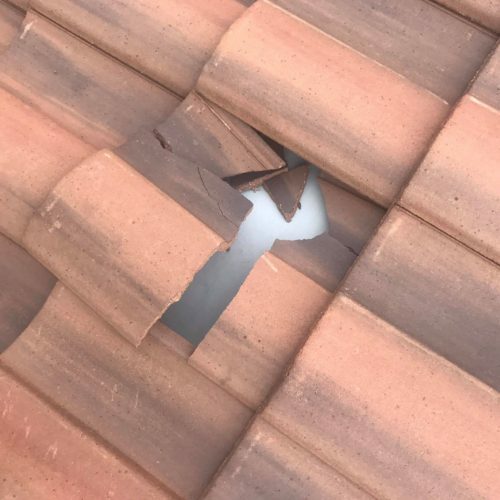 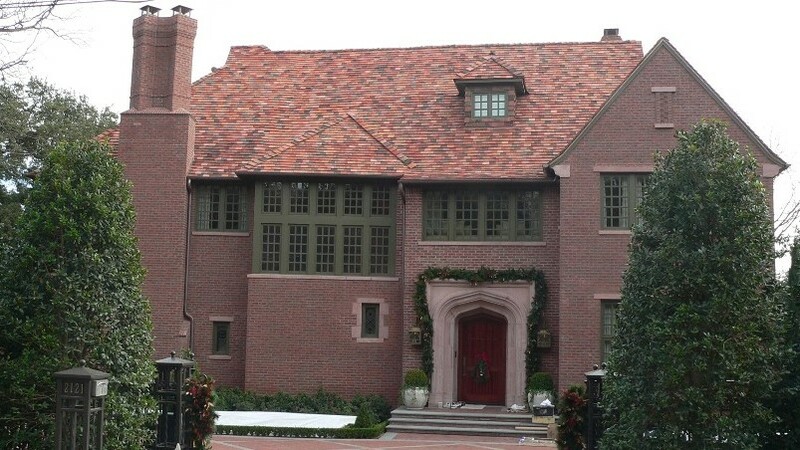 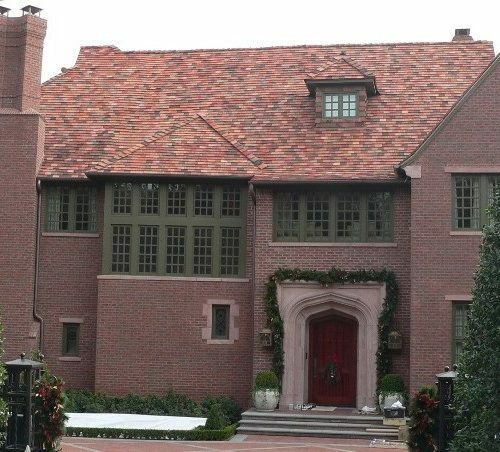 With its ability to withstand extreme weather conditions, high wind, high heat and severe cold, clay tile is an excellent choice for a new roof or roof replacement. 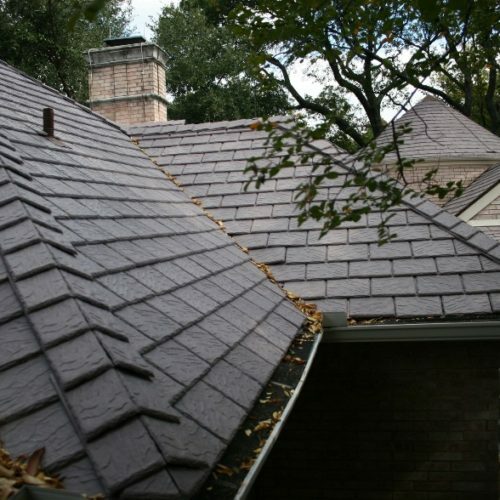 Slate roofing is one of the oldest and most traditional forms of roofing having its roots originate back to stone roofing in England. 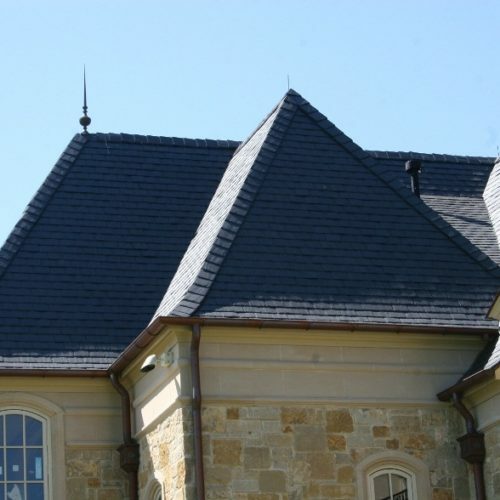 Slate is a dense, tough, durable, natural rock or stone material that is practically nonabsorbent. 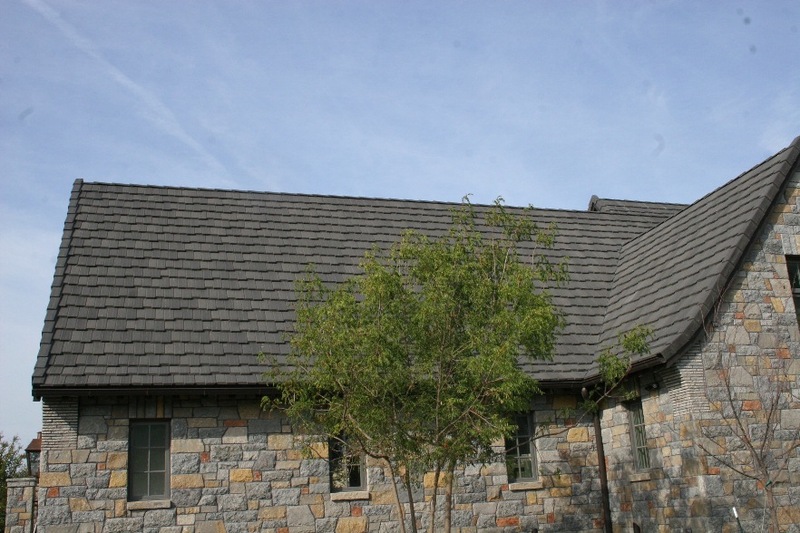 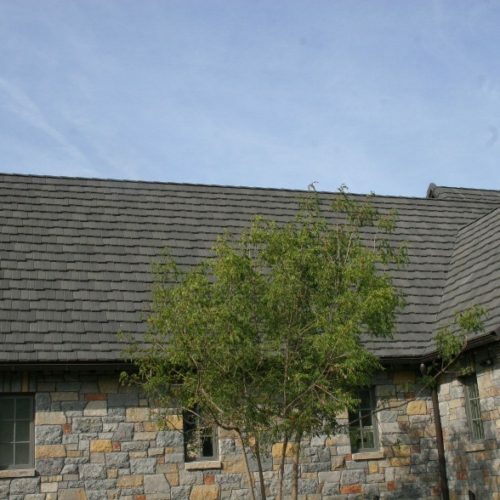 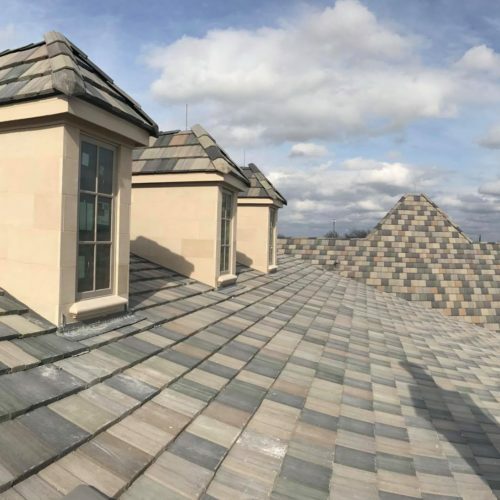 Slate may be used to form a variety of designs on a roof and provides long service-life to steep-slope roof requirements. 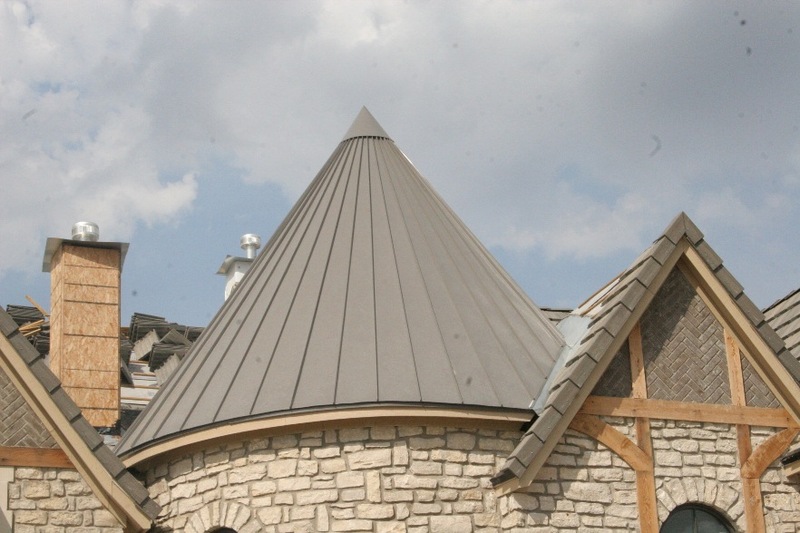 In the past metal roofing systems have been relegated to barns, strip malls and other commercial applications. 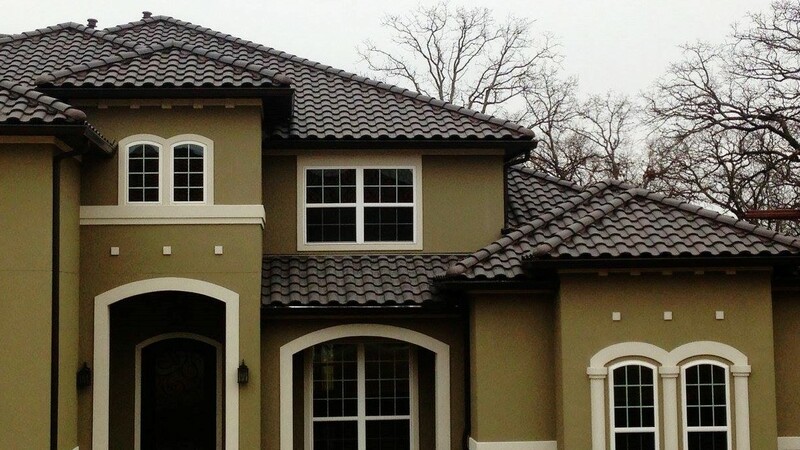 Due to the revolution in design and style, metal roofing systems are now being considered more often by homeowners . 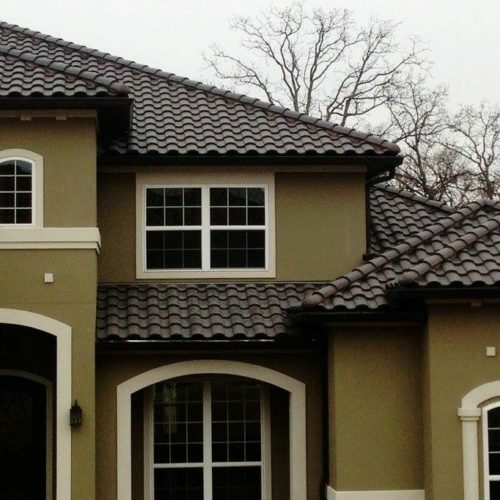 Metal roofs are virtually maintenance-free which makes them cost effective. 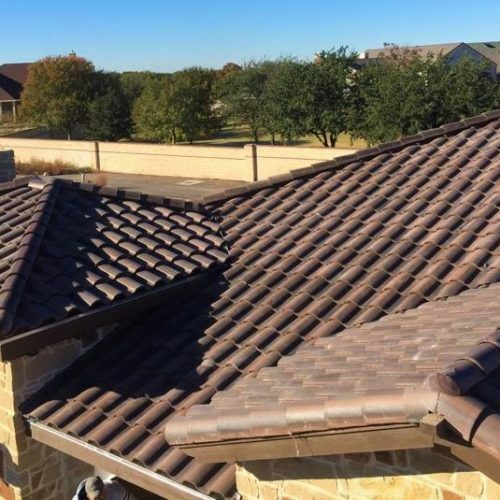 These products are noise-free and stand up to hard rain, UV rays, high winds, and freeze/thaw cycles and highly fire resistant.. Metal roofs are extremely lightweight and make an excellent choice for a roofing system. 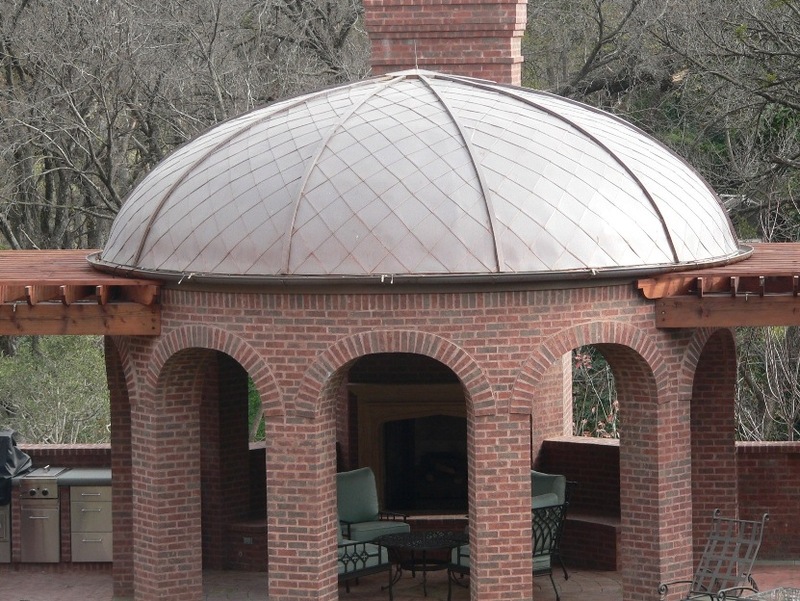 Copper is one of the oldest forms of metal. 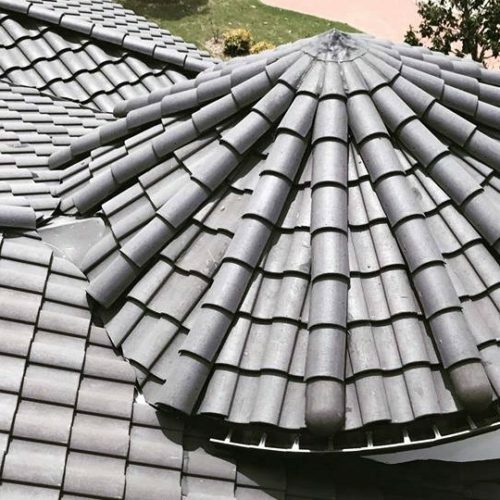 This material is ideally suited for roofing, flashings and decorative sheet metalwork due to its relative softness in sheet form. 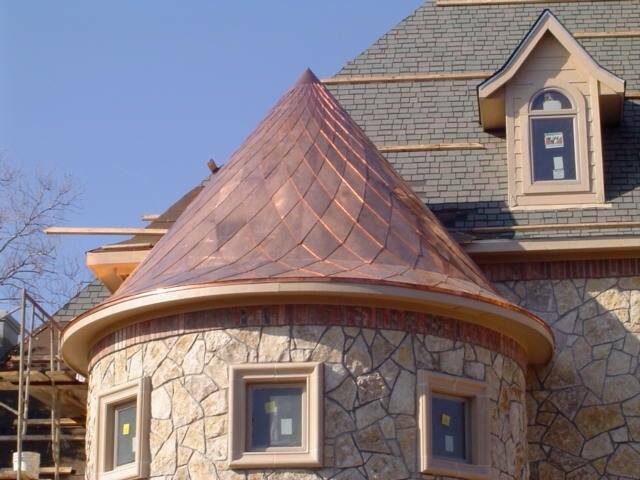 For roofing and other types of exterior construction applications, copper is often the metal of choice. 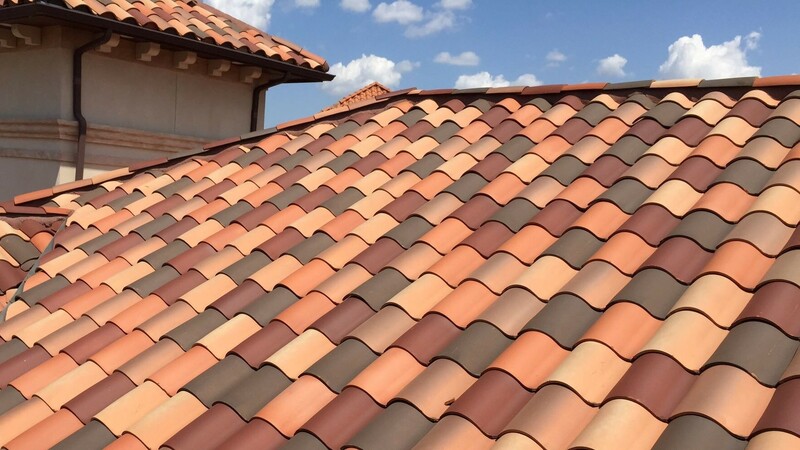 Copper is beautiful, durable and since it is virtually maintenance free it is highly cost effective. 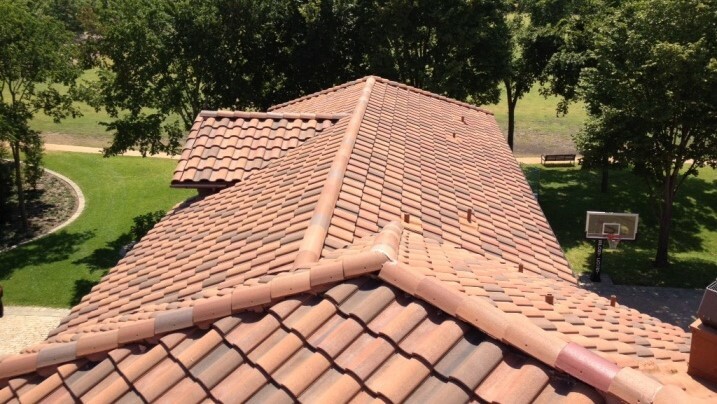 Concrete tile roofing can trace its origin back to the 1800’s and was first manufactured by Adolph Droher in Germany. 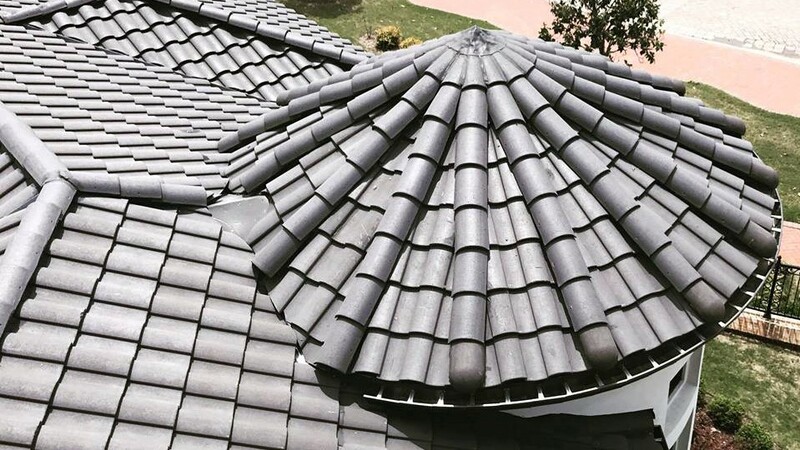 Manufactured from cement, sand and aggregate, this type of tile roofing is ideally suited for frequent freeze-thaw climatic conditions. 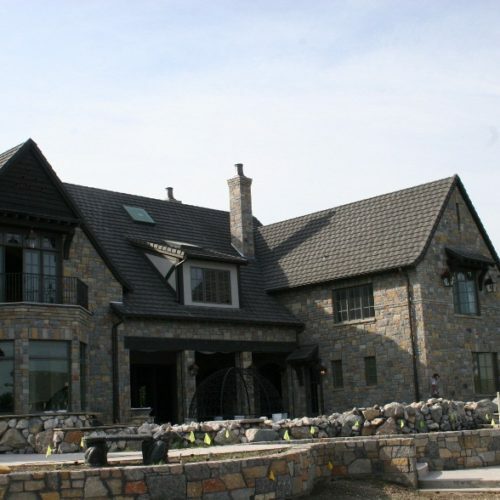 Click on any of our amazing suppliers below to learn more about them.